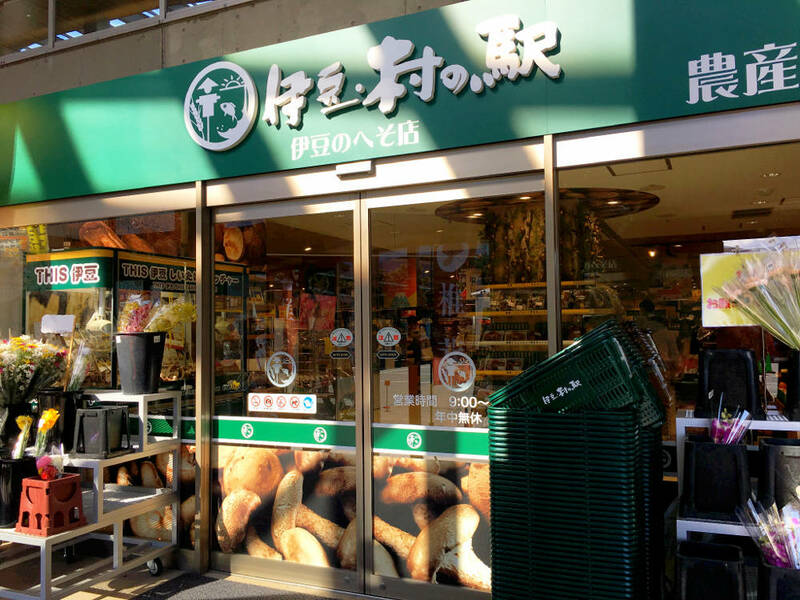 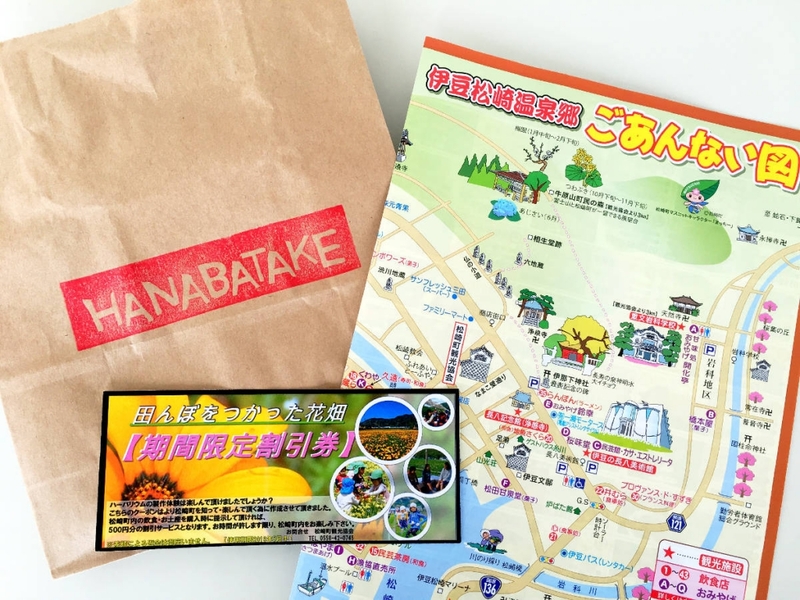 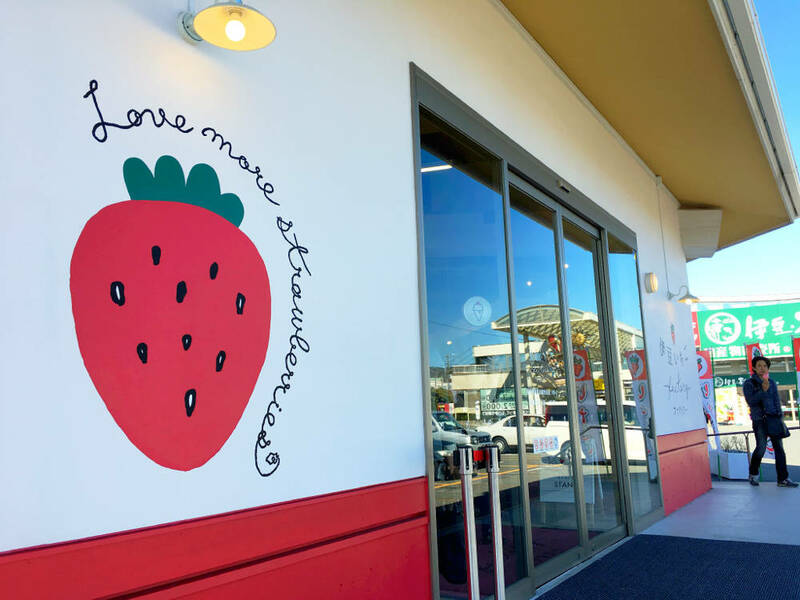 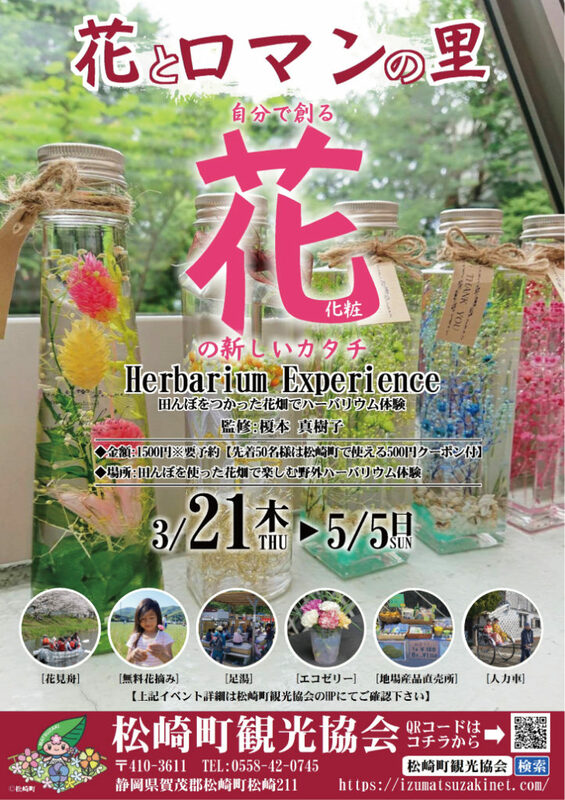 experience program, in Matsuzaki town. 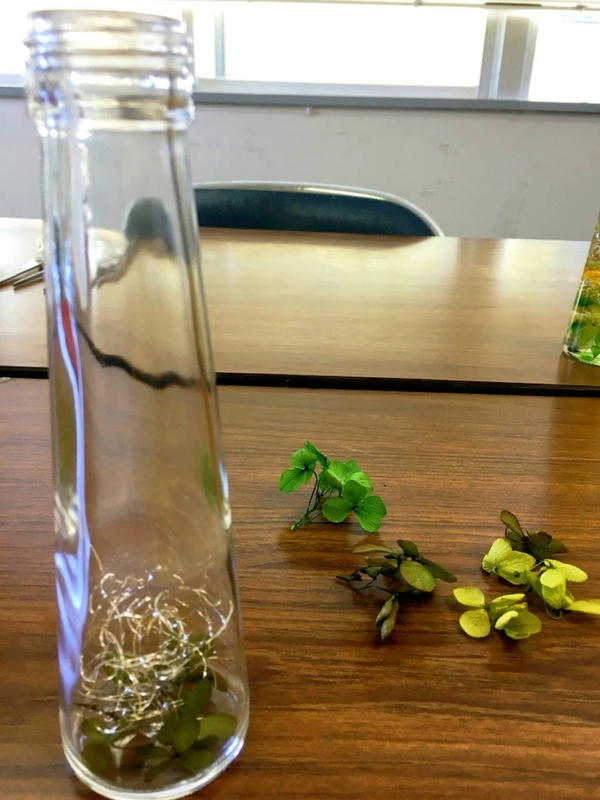 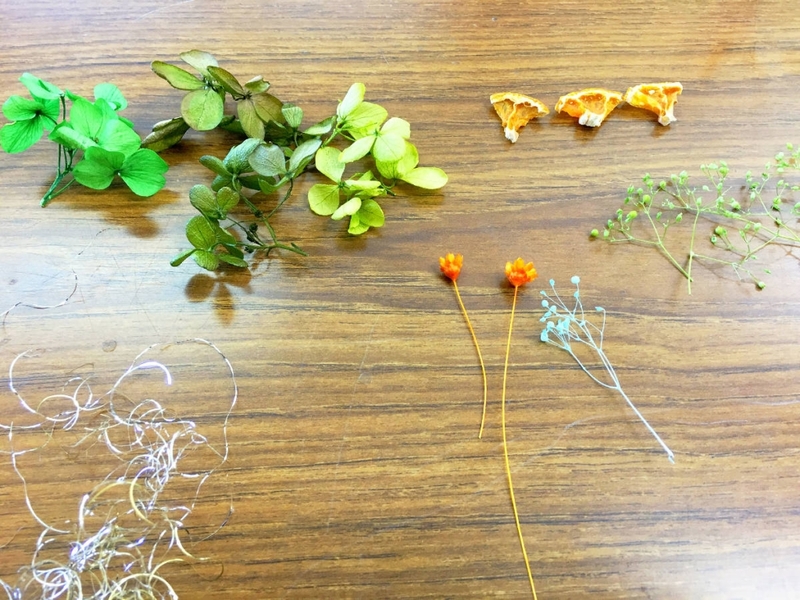 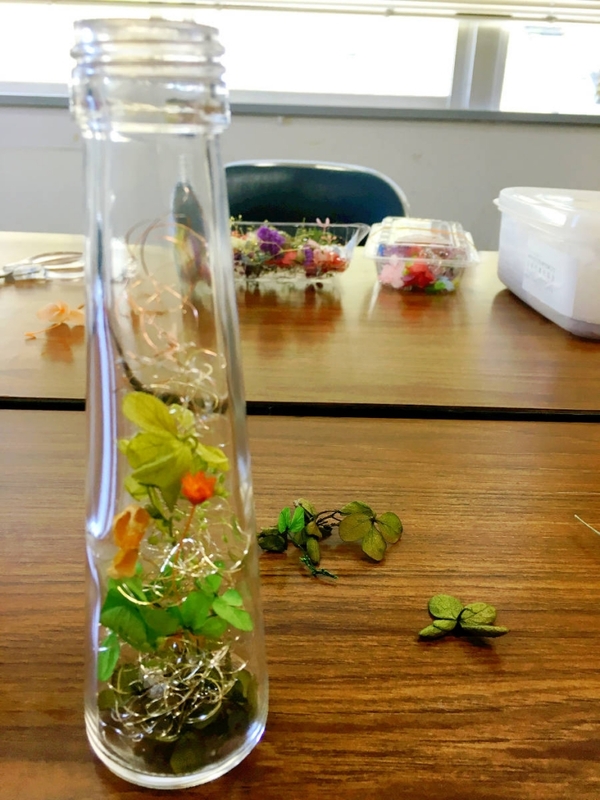 I enjoyed making my own Herbarium, I recommend this experience program!! 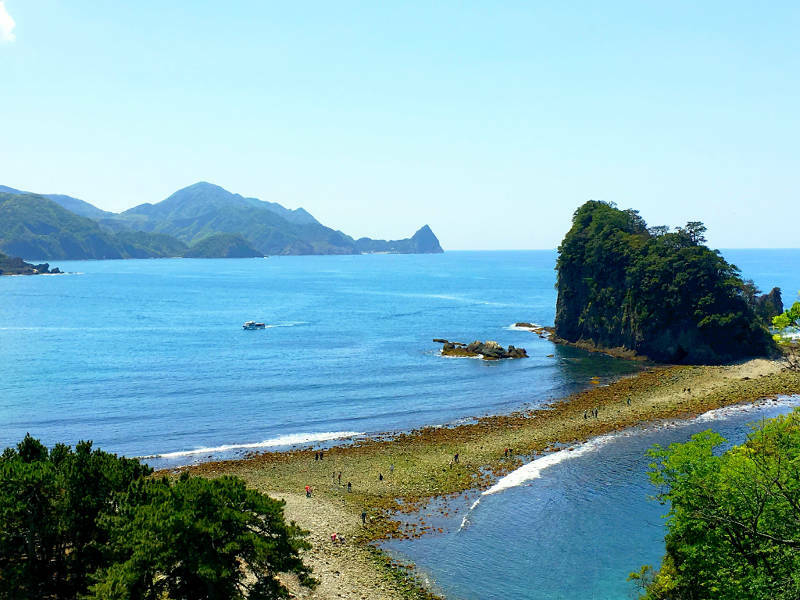 And, you might see and walk on the sea road of Tombolo this weekend. 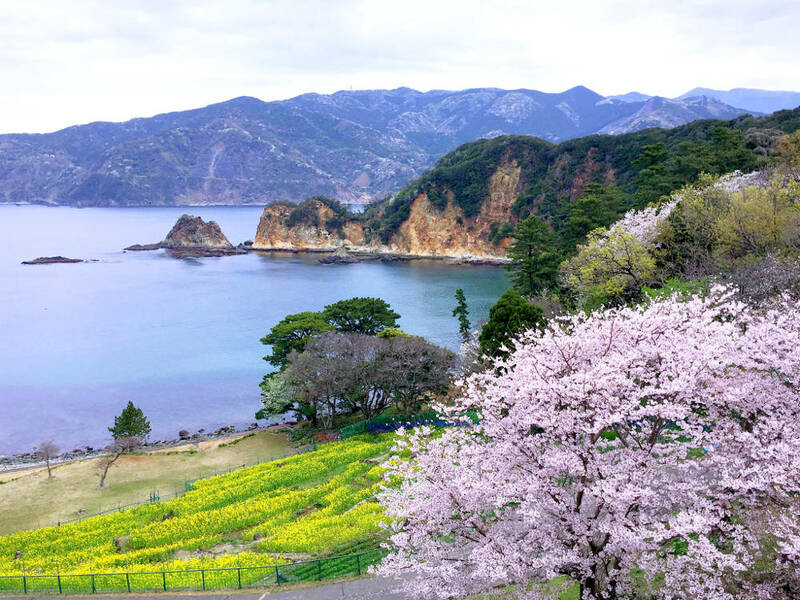 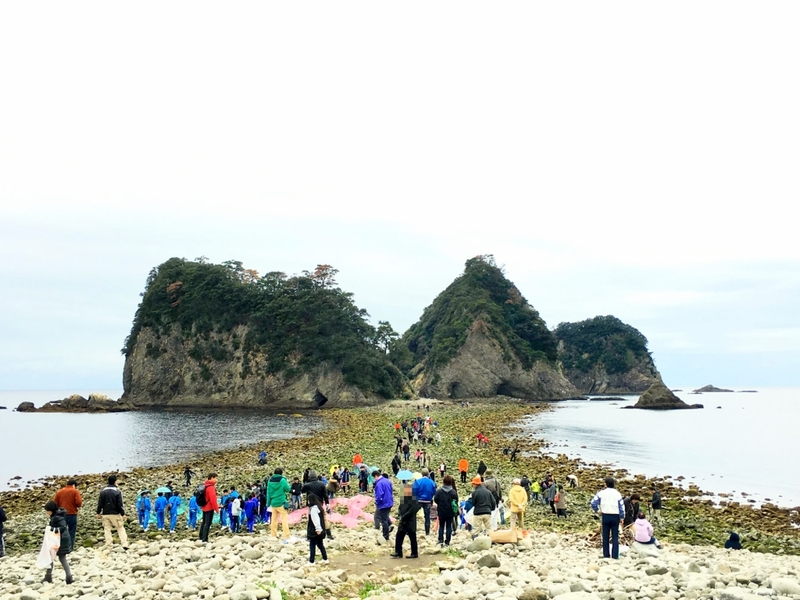 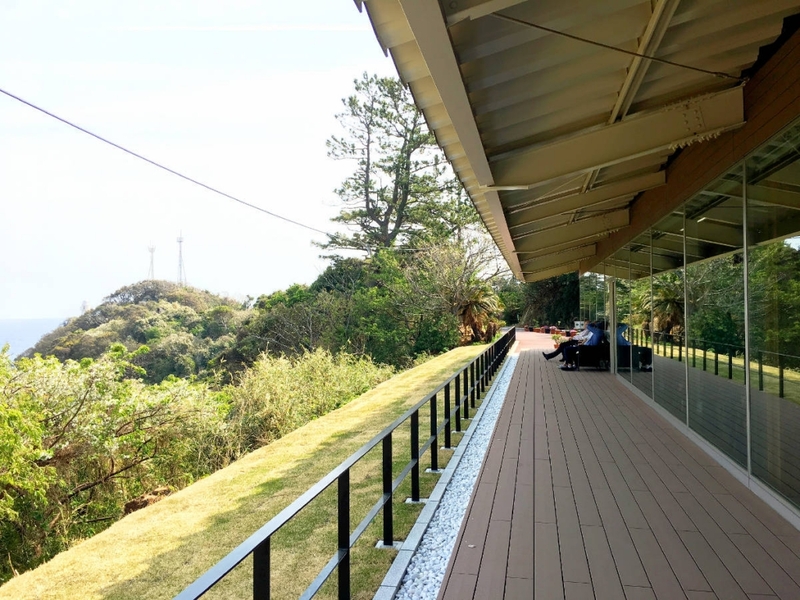 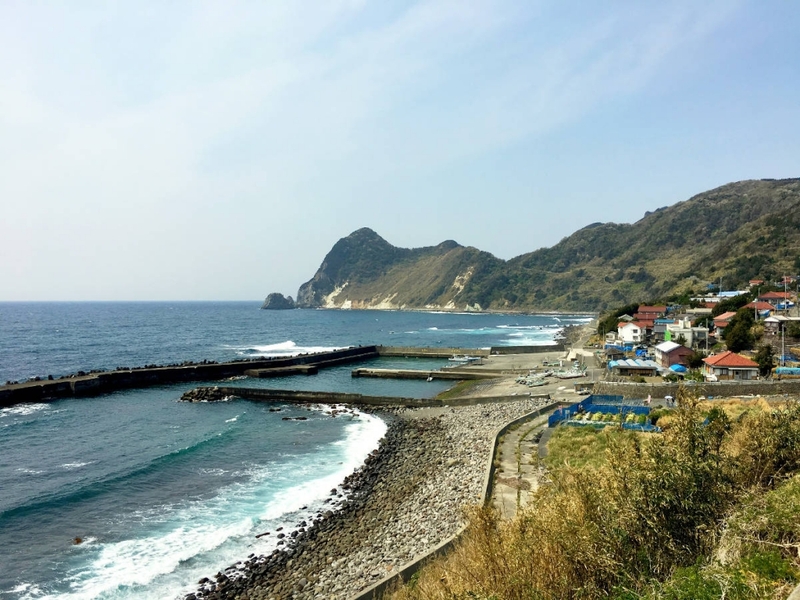 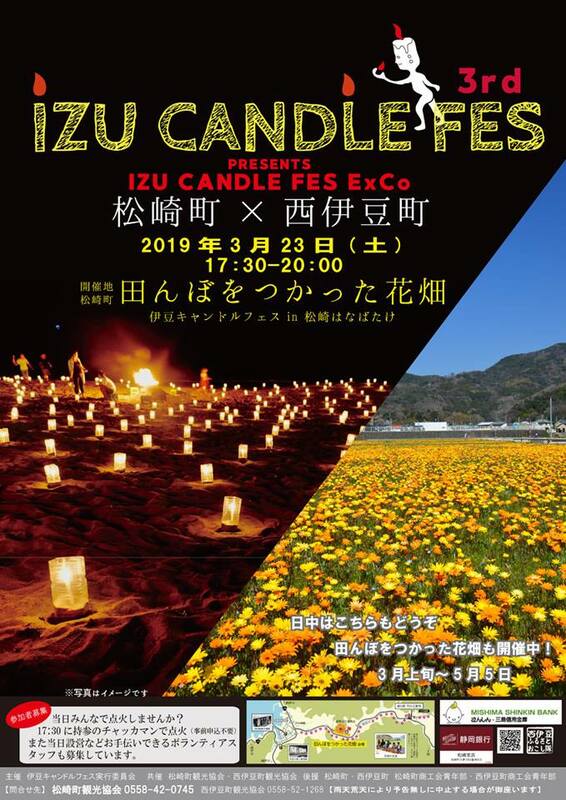 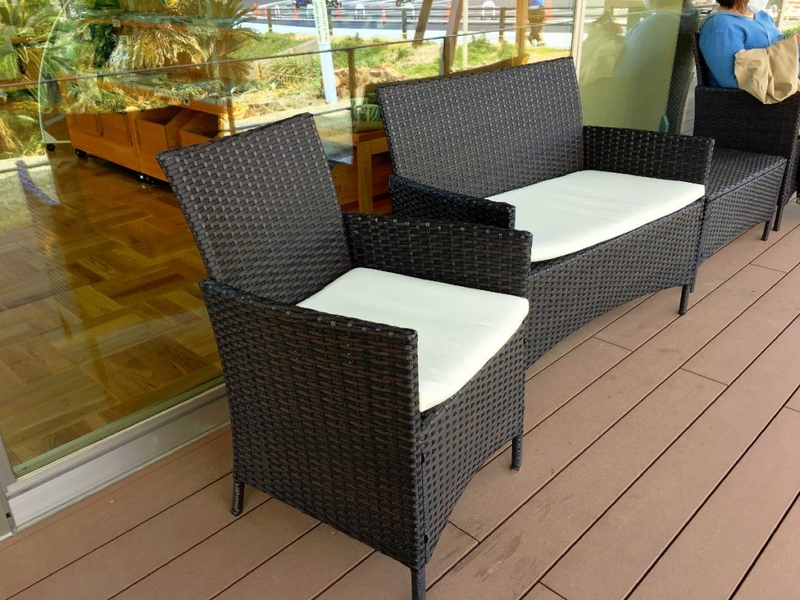 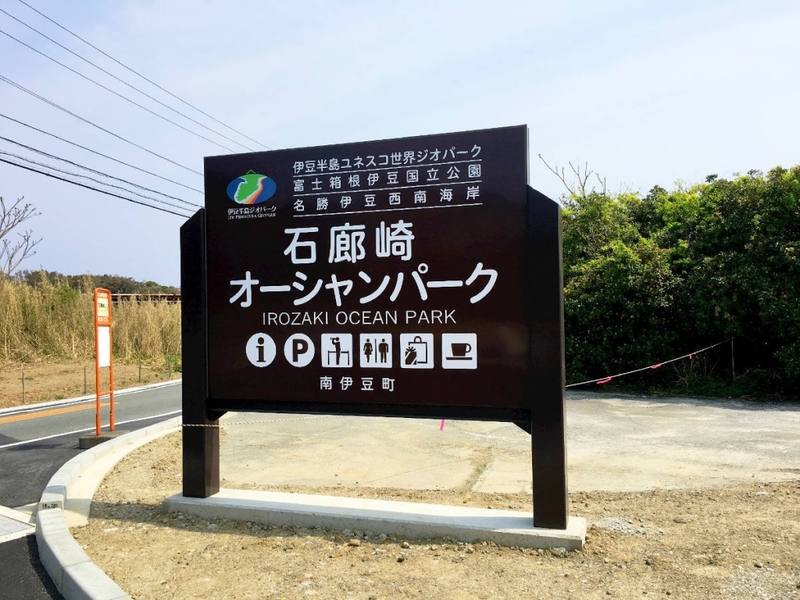 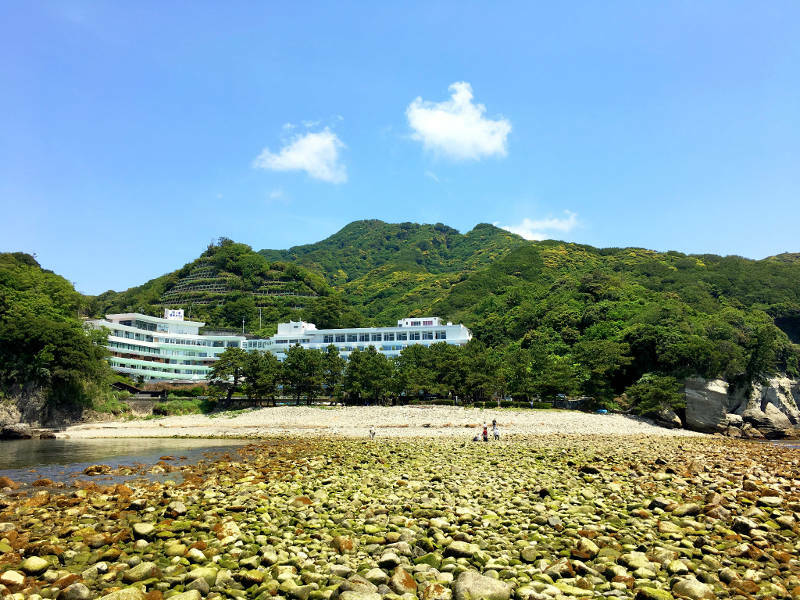 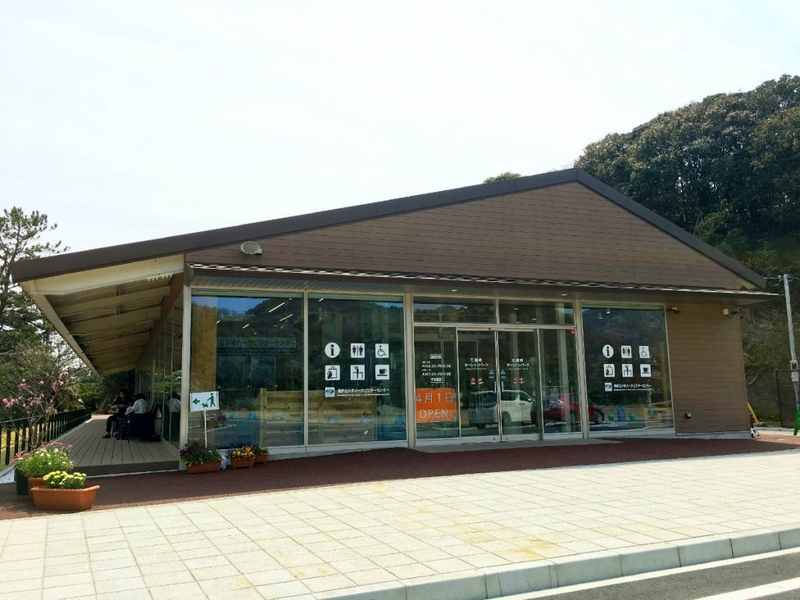 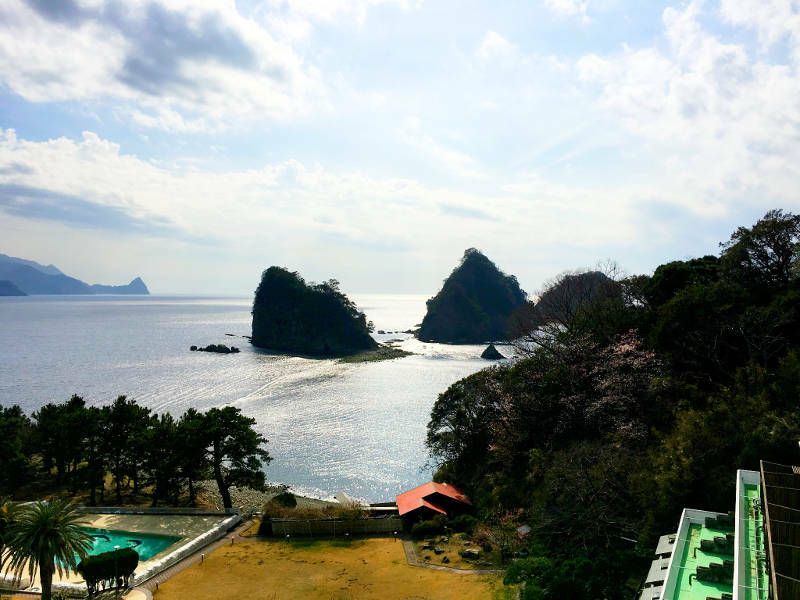 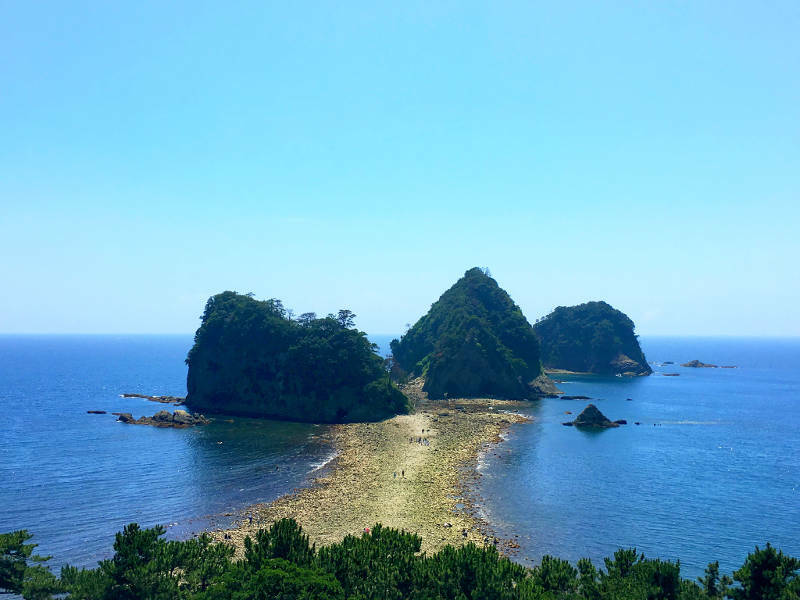 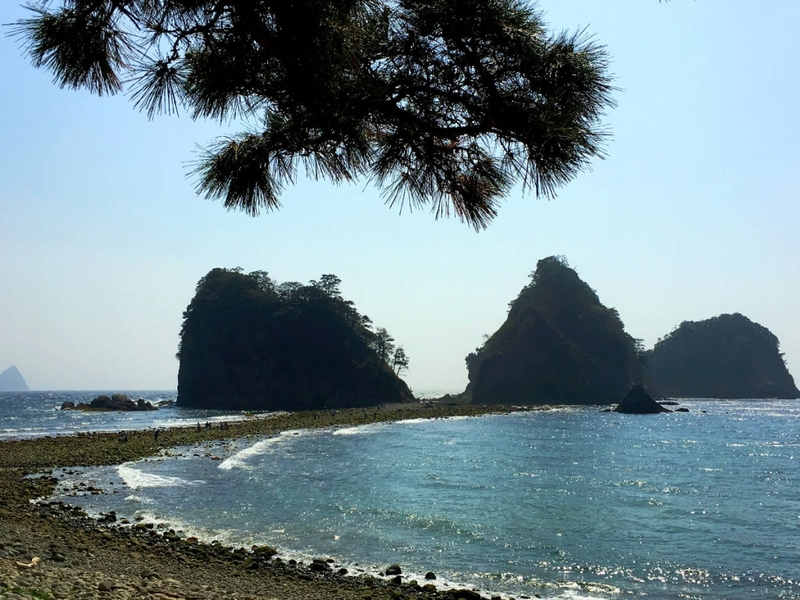 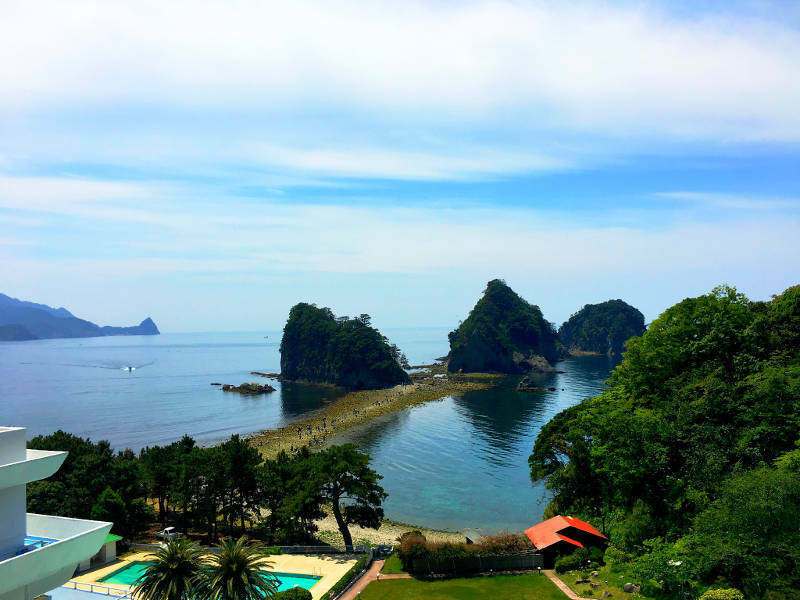 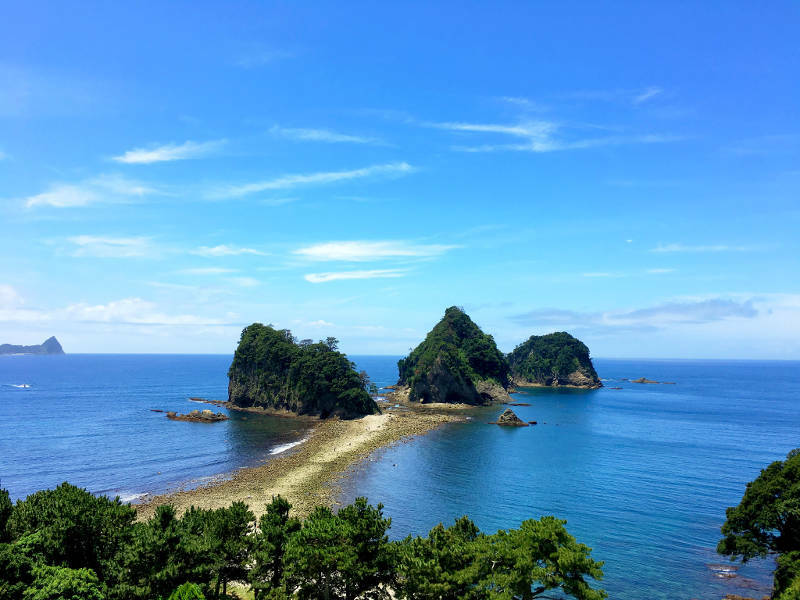 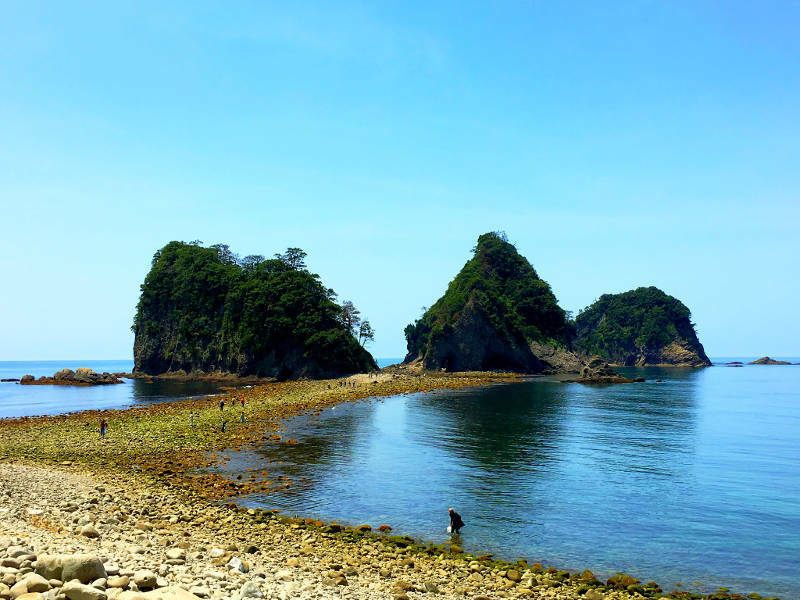 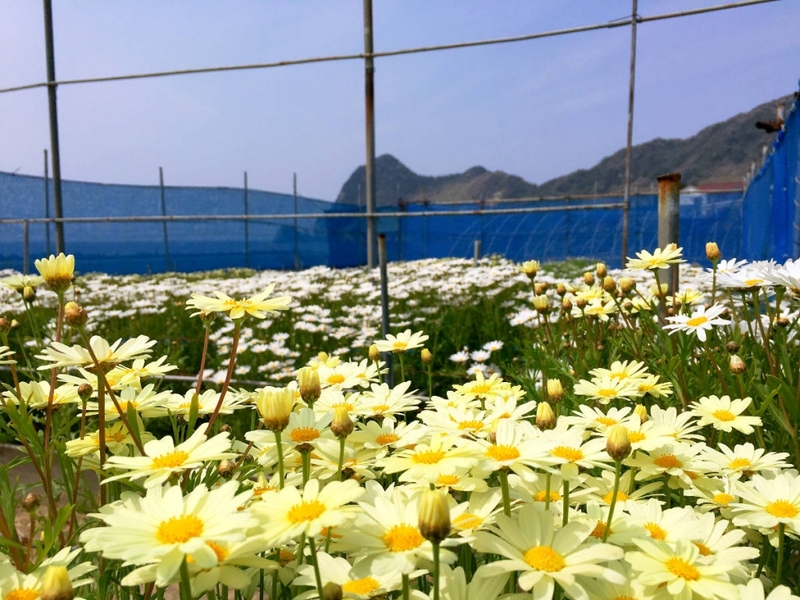 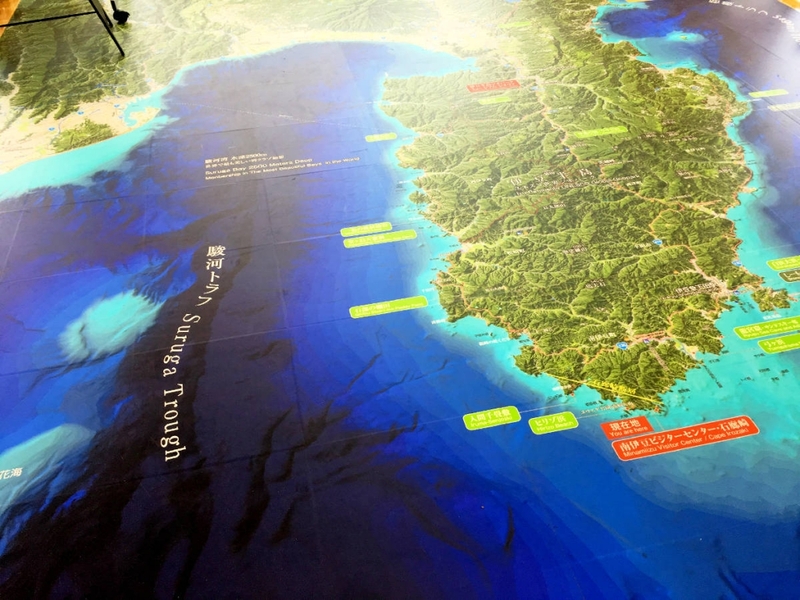 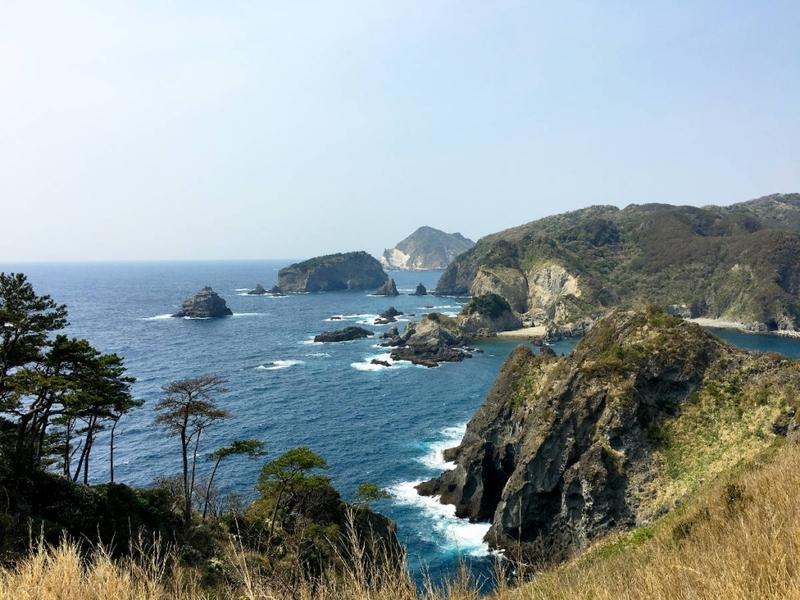 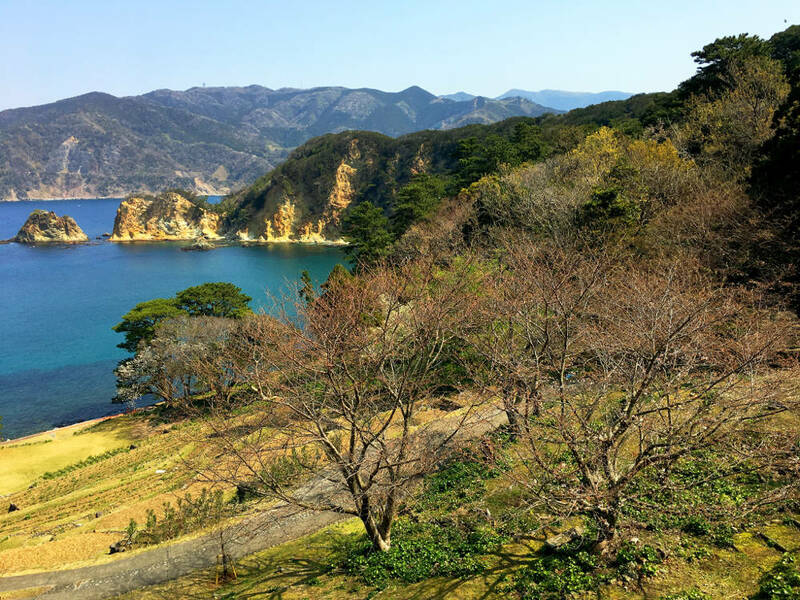 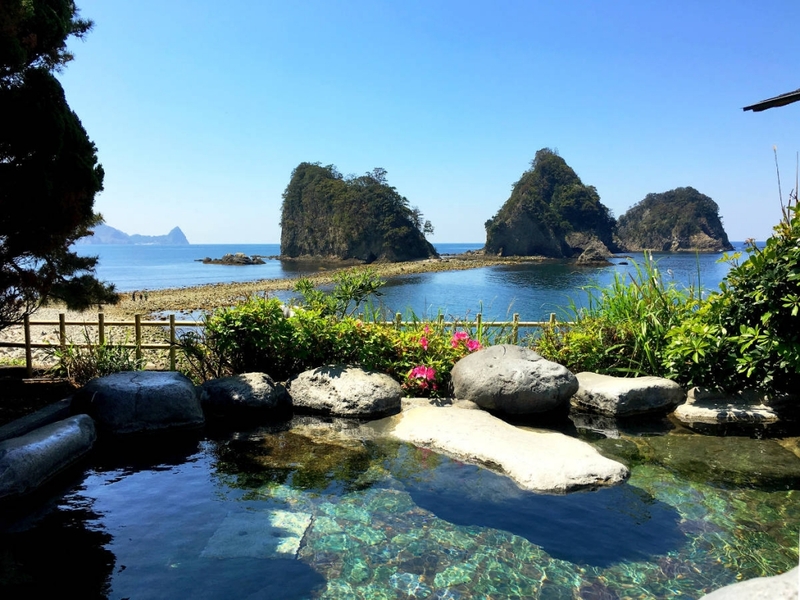 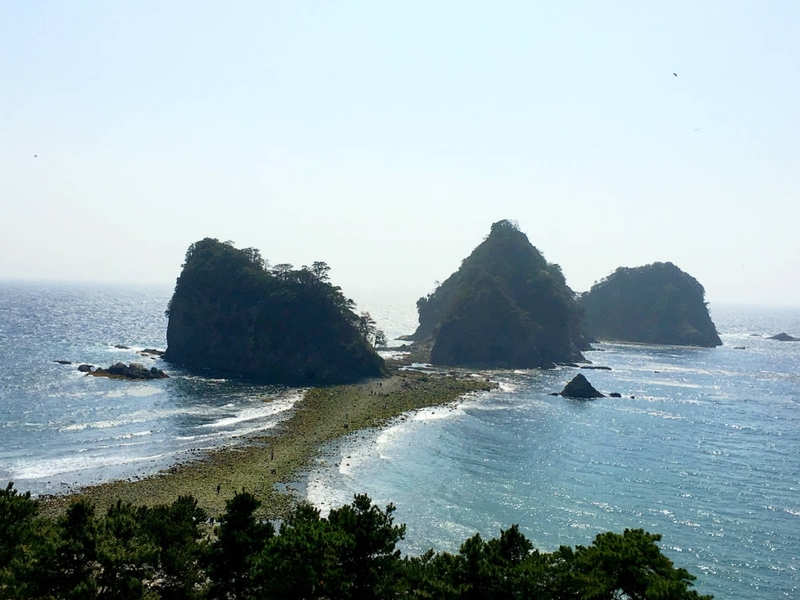 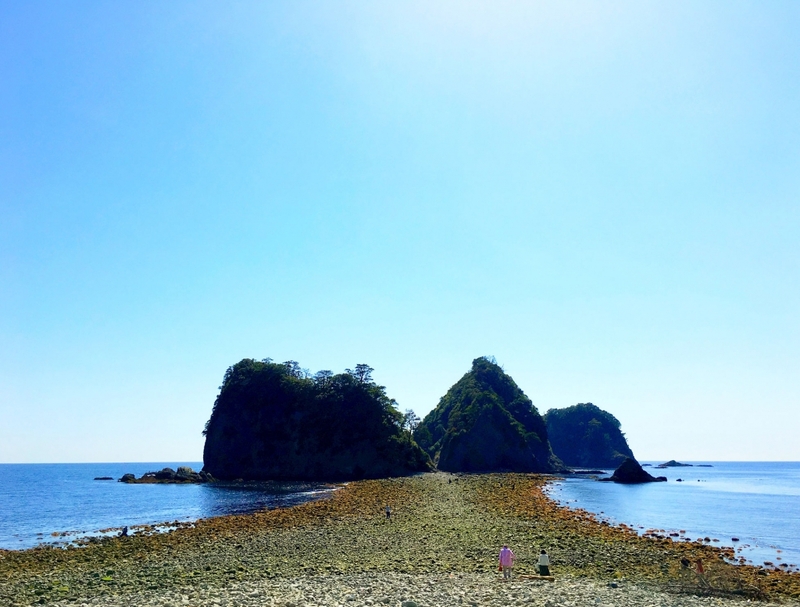 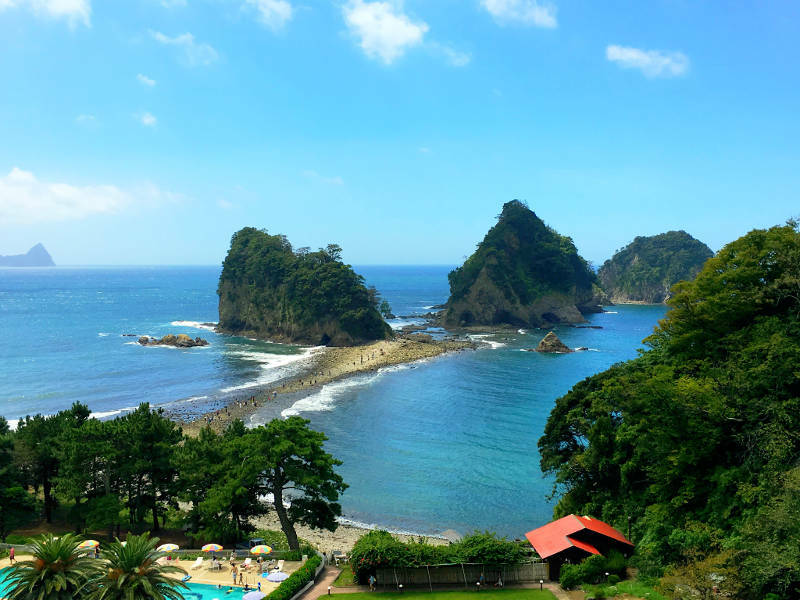 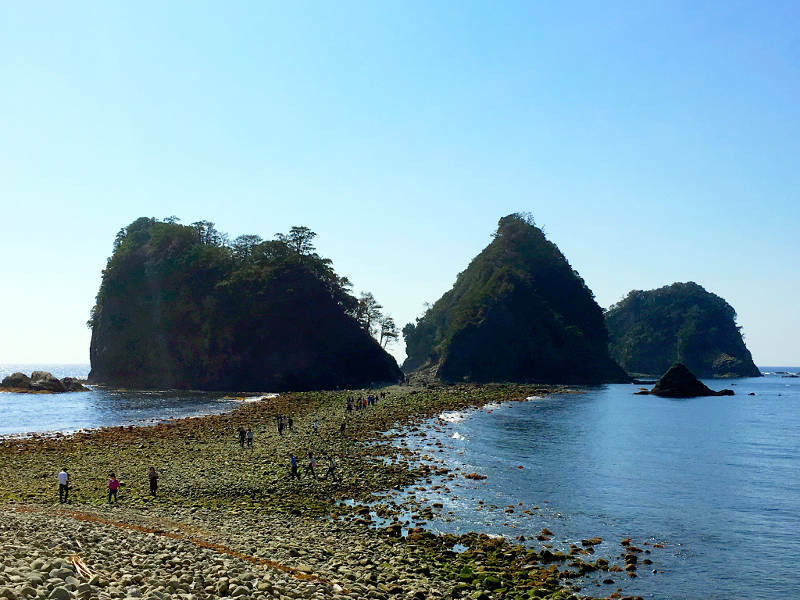 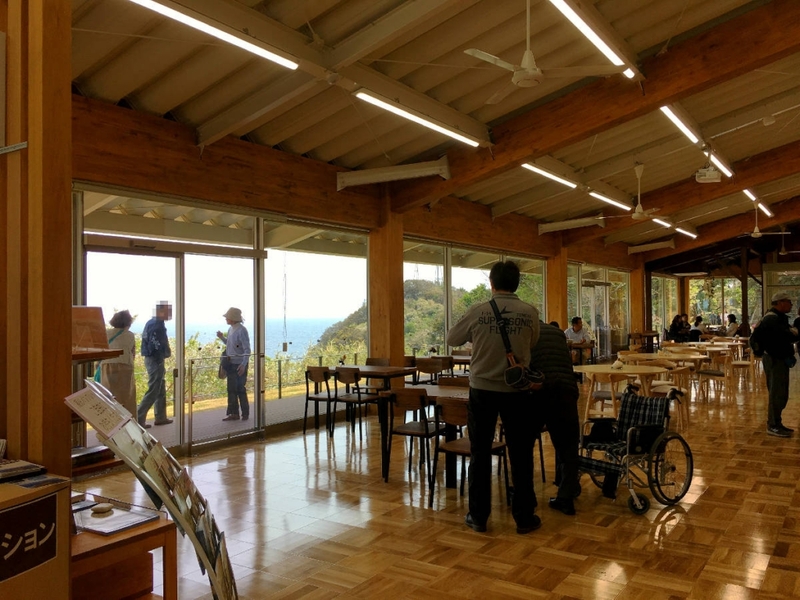 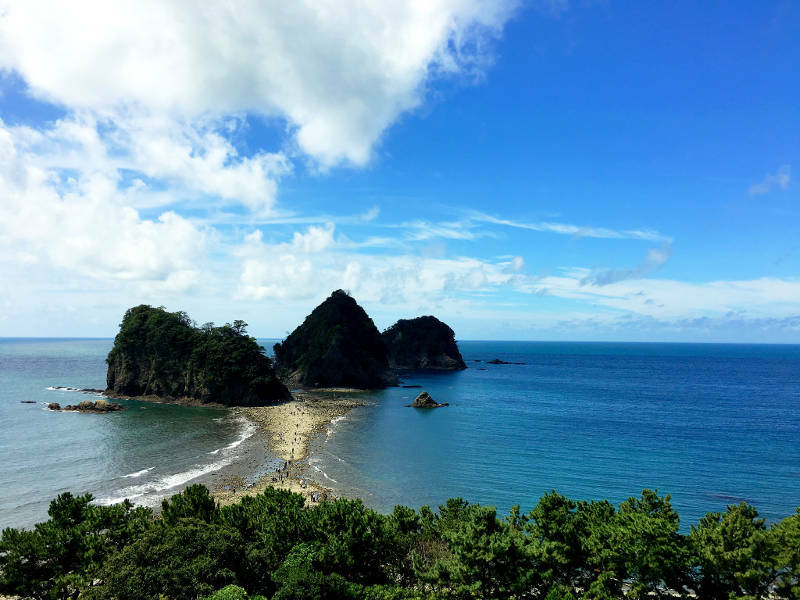 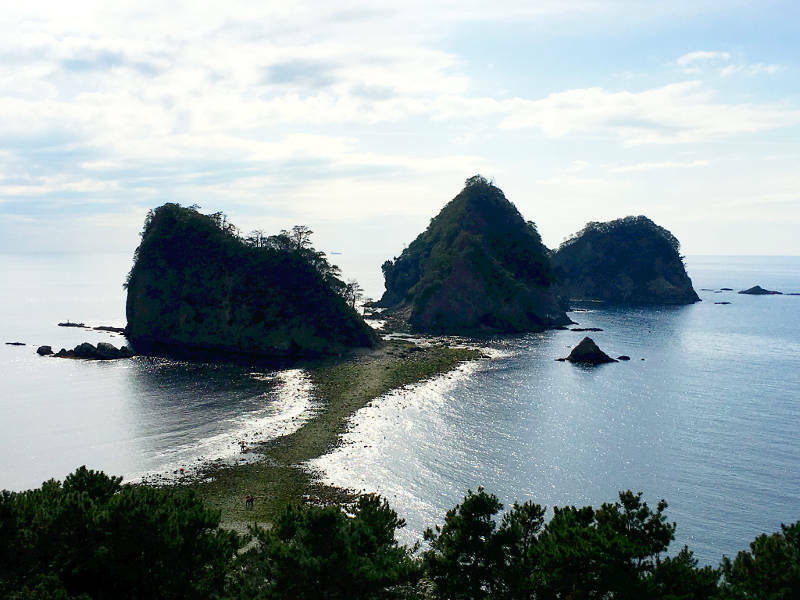 Irouzaki Ocean Park has just opened on April 1, 2019 in Minamiizu town. 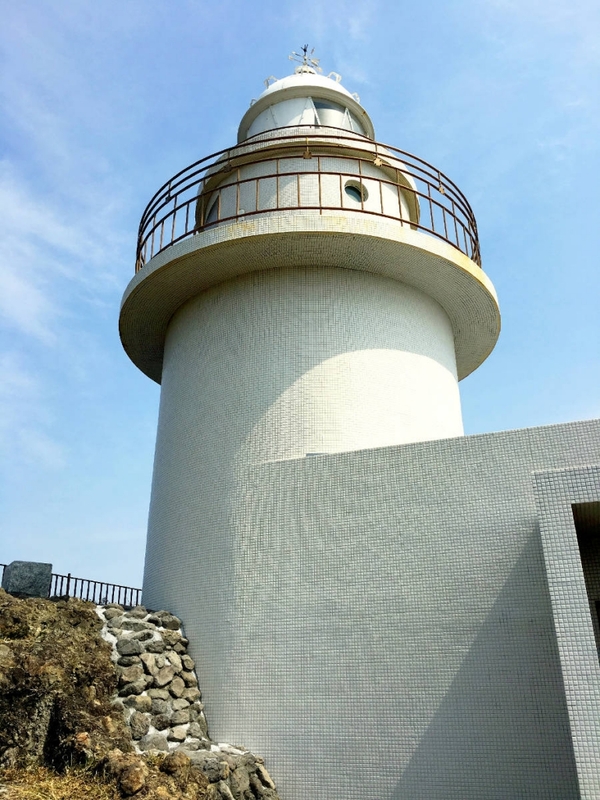 to go to Irouzaki Lighthouse. 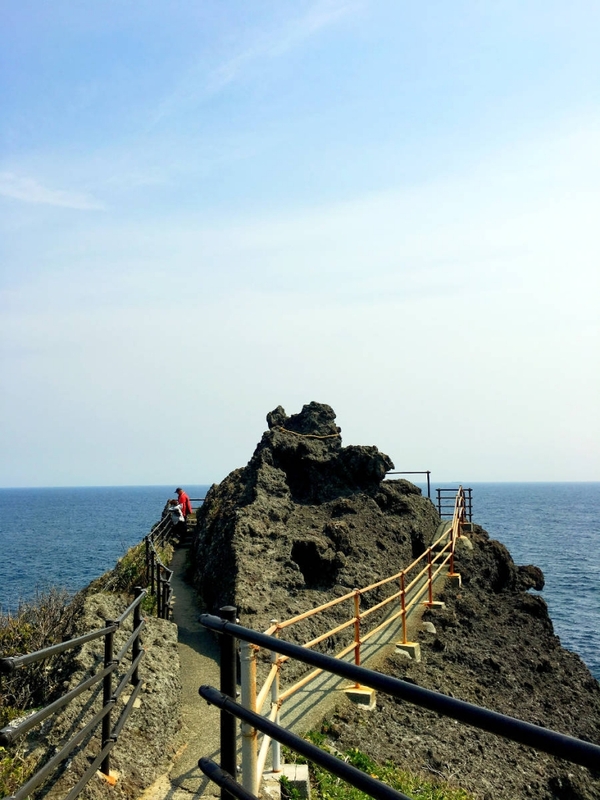 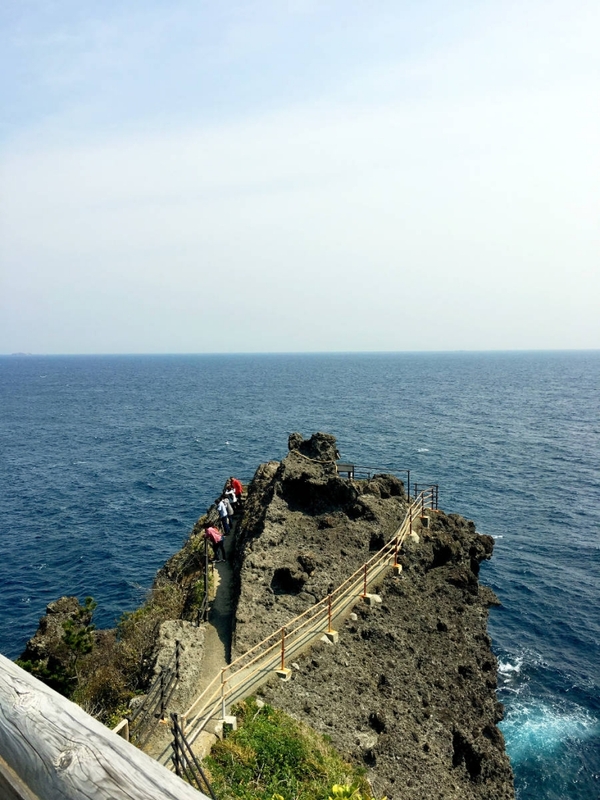 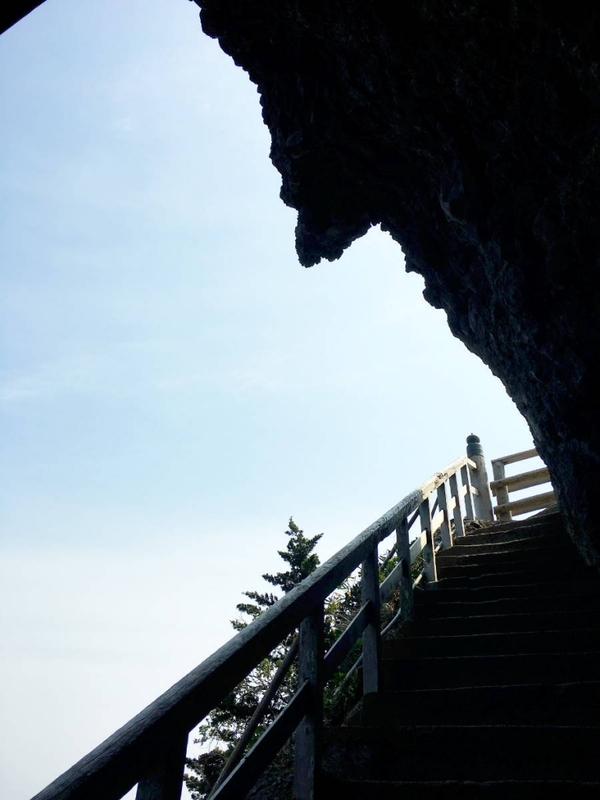 AND you can stand up at the southernmost point of Izu Peninsula!!! 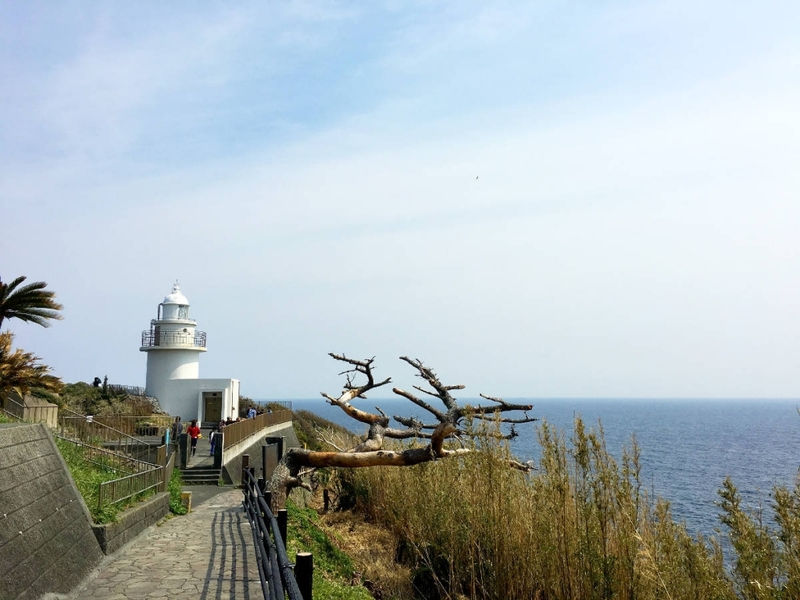 at Cape Koganezaki from 10:00am to 1:00pm. 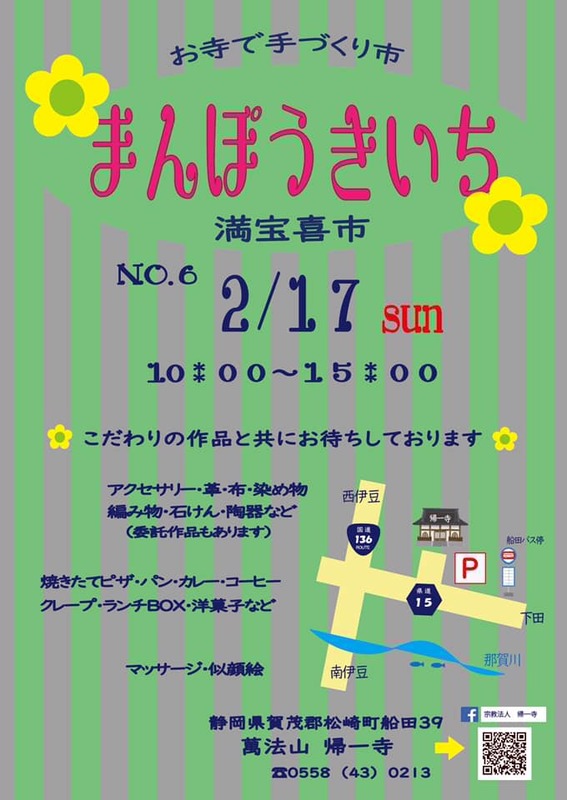 Events Information on this coming weekend! 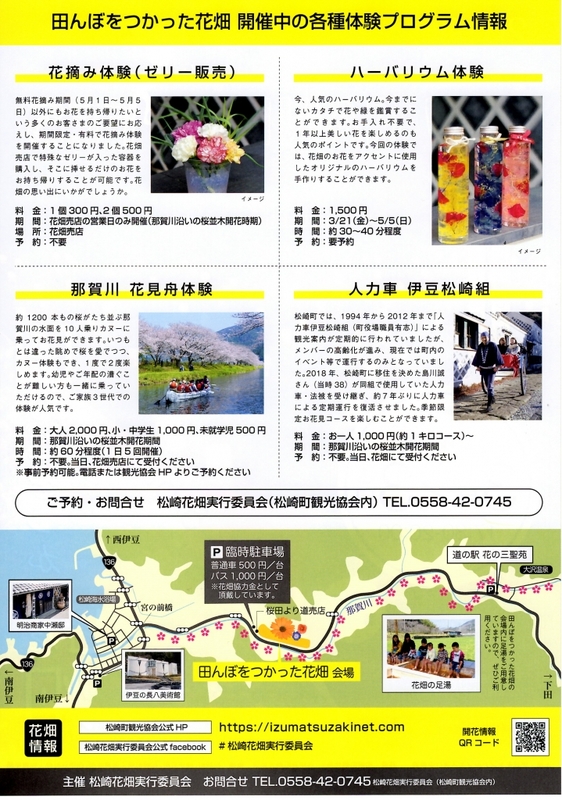 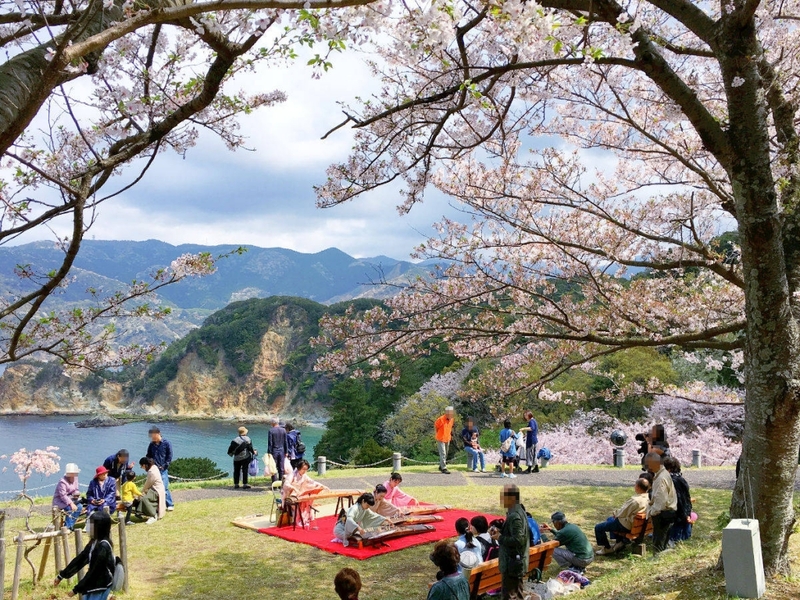 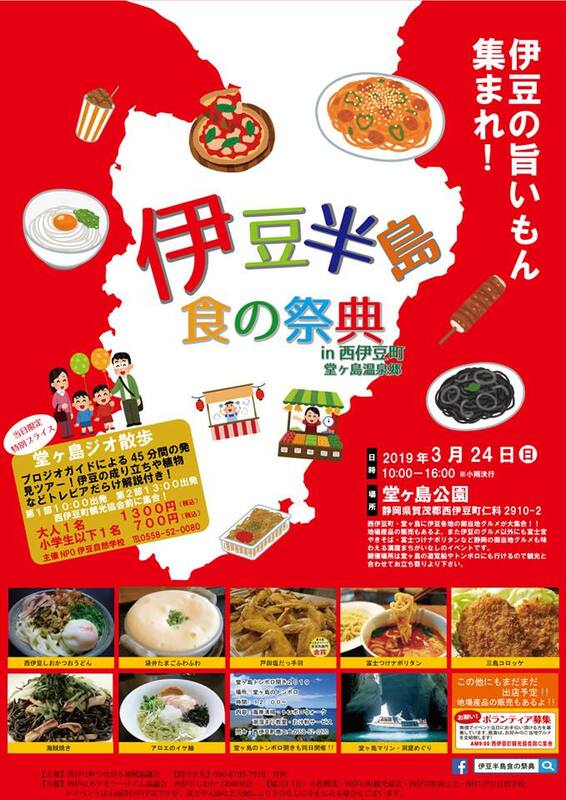 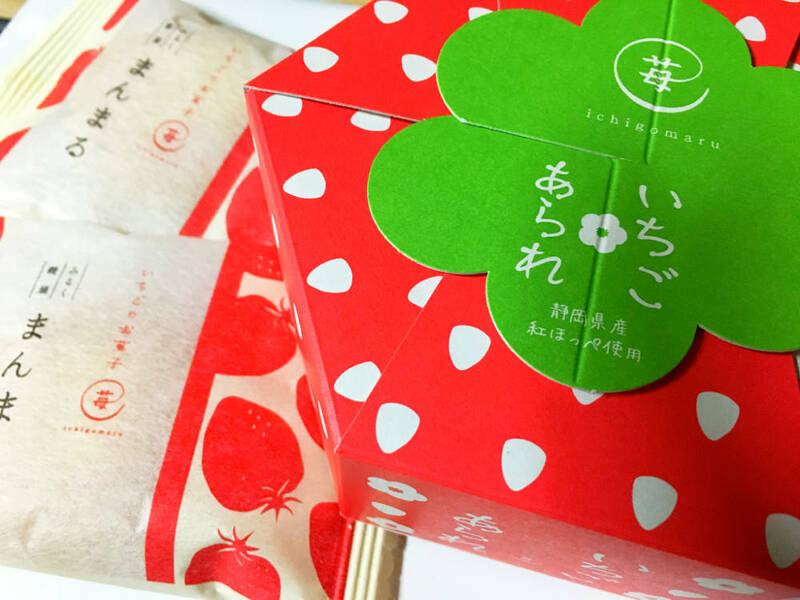 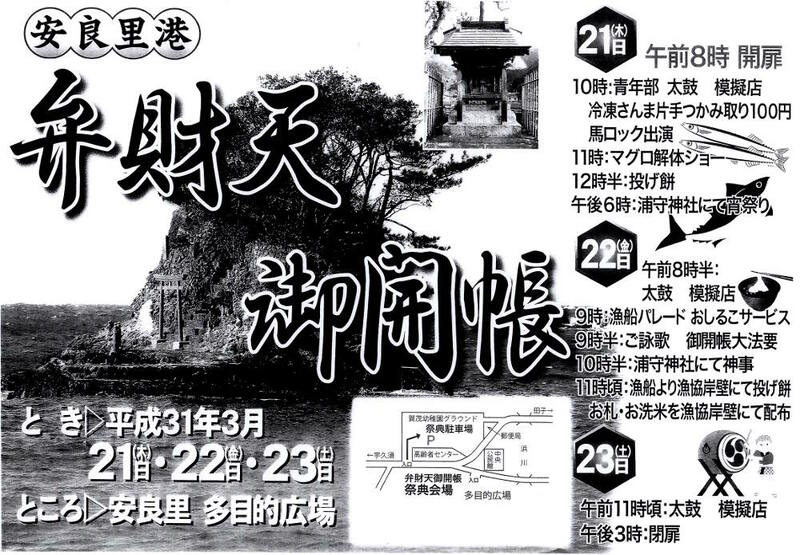 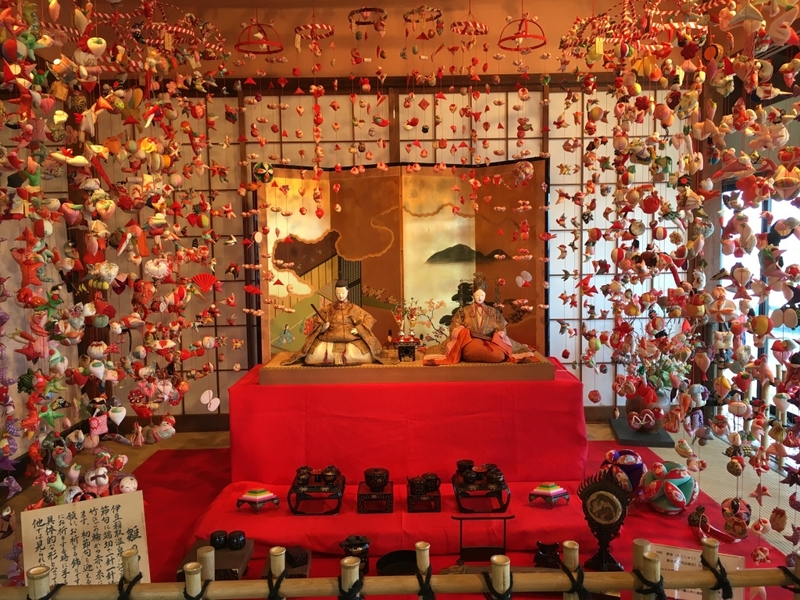 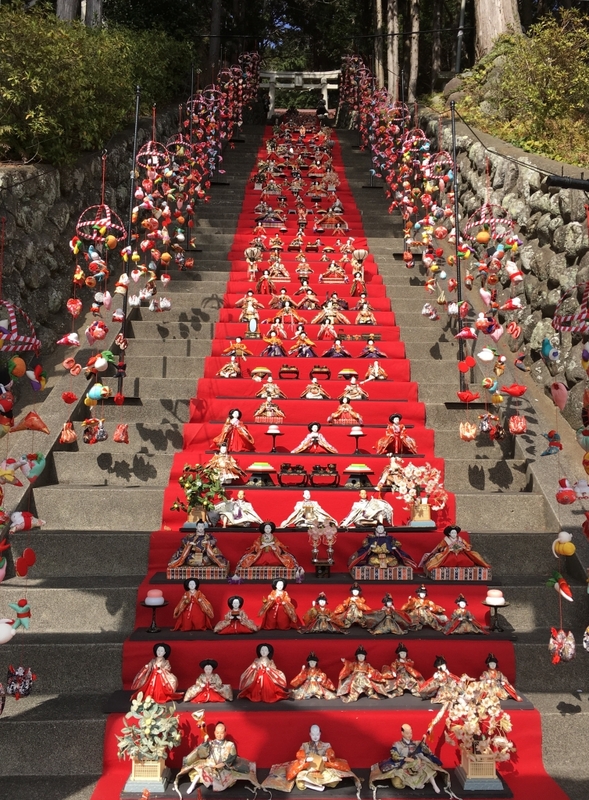 Food and Tombolo Festival in Nishiizu town on Mar. 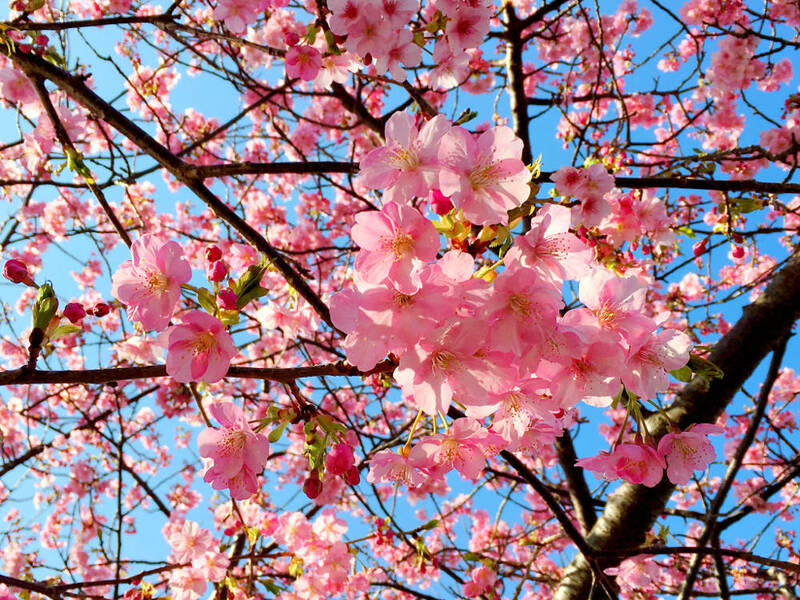 24!! 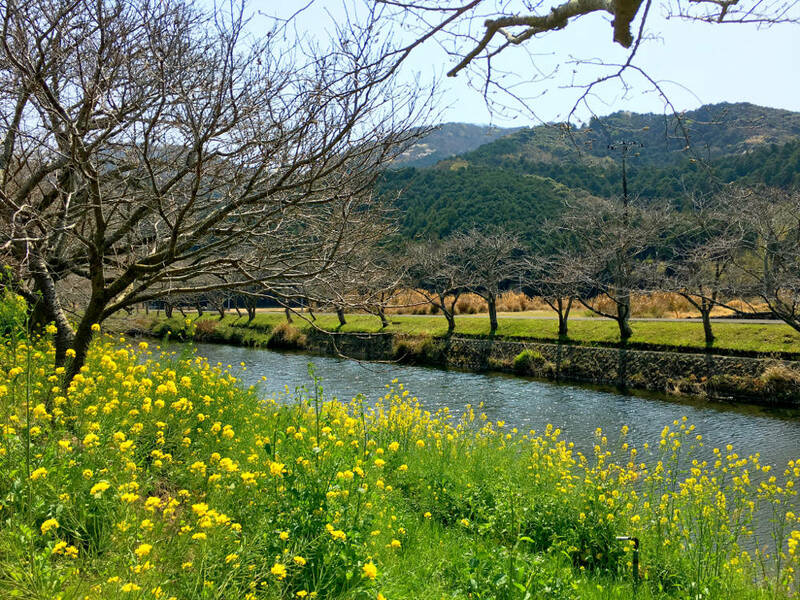 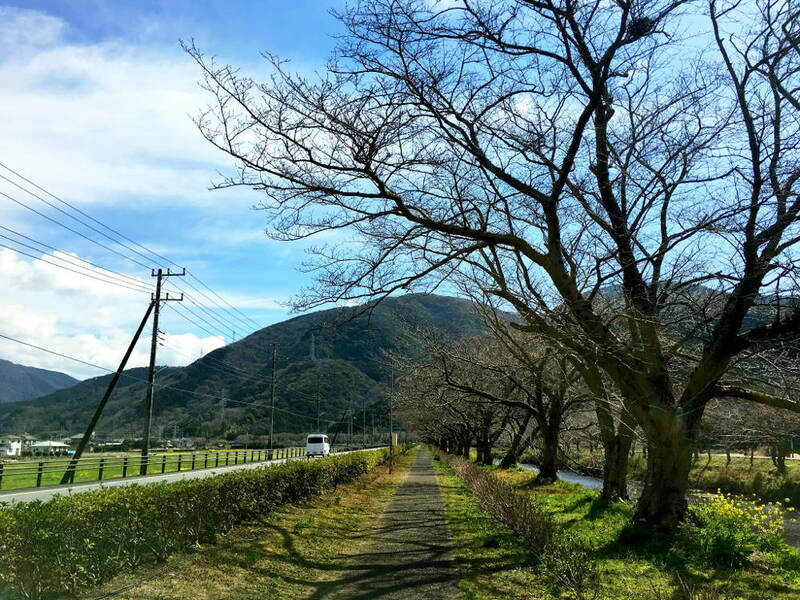 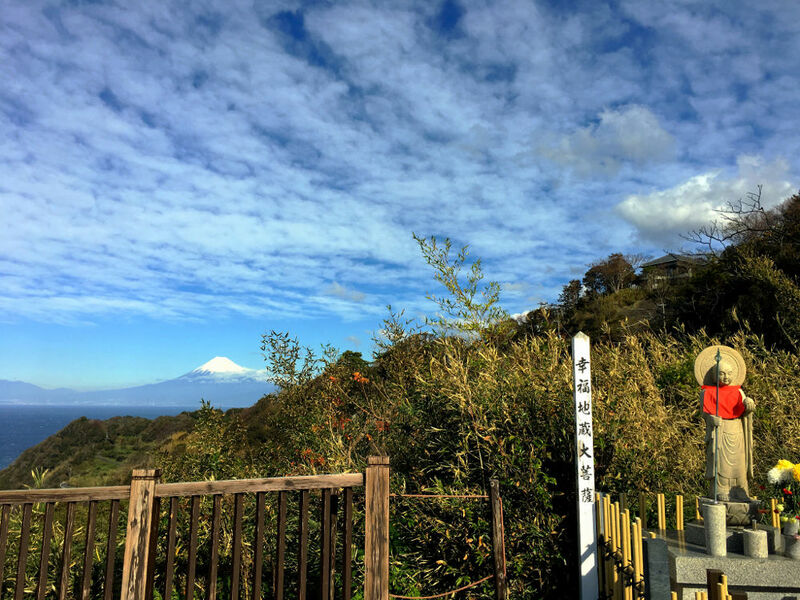 "Michi-no-Eki" is a roadside rest place. 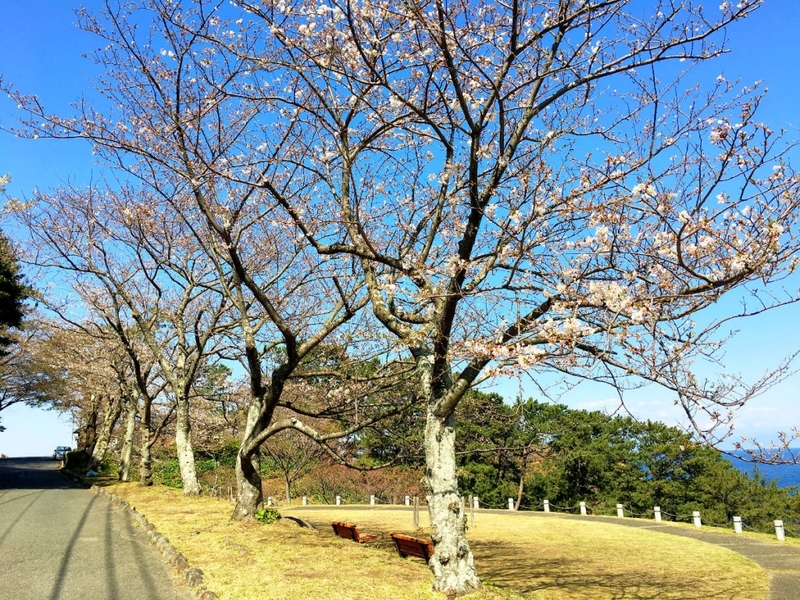 Why don't you stop and take a rest!! 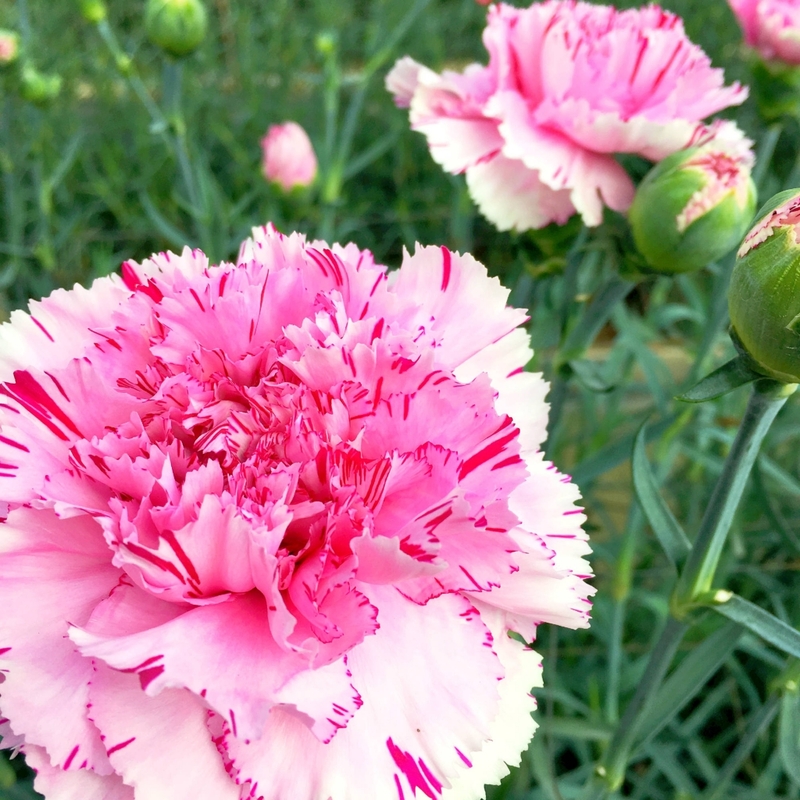 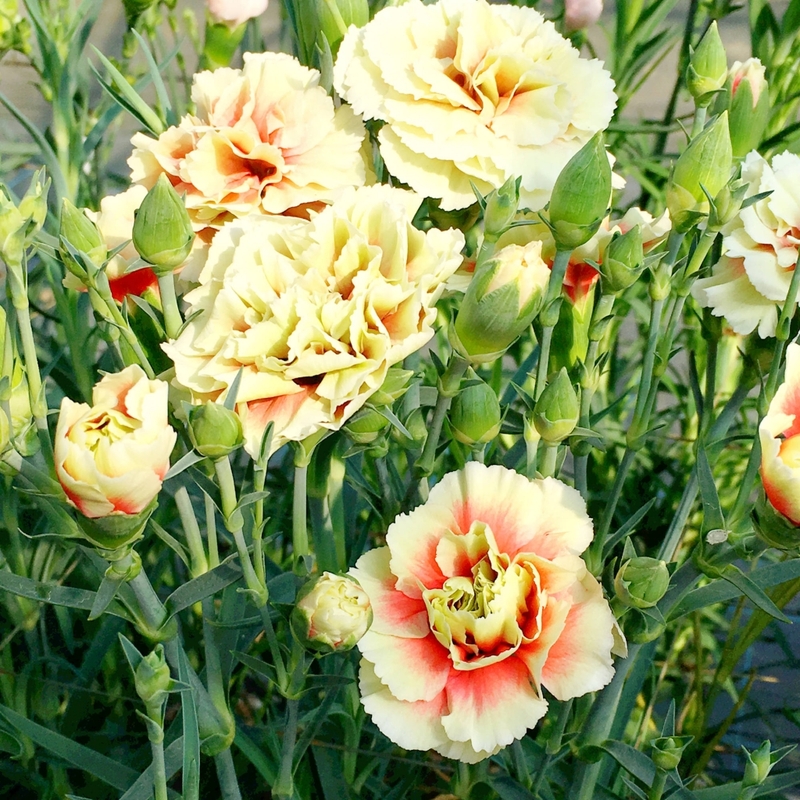 Flowers around here and there! 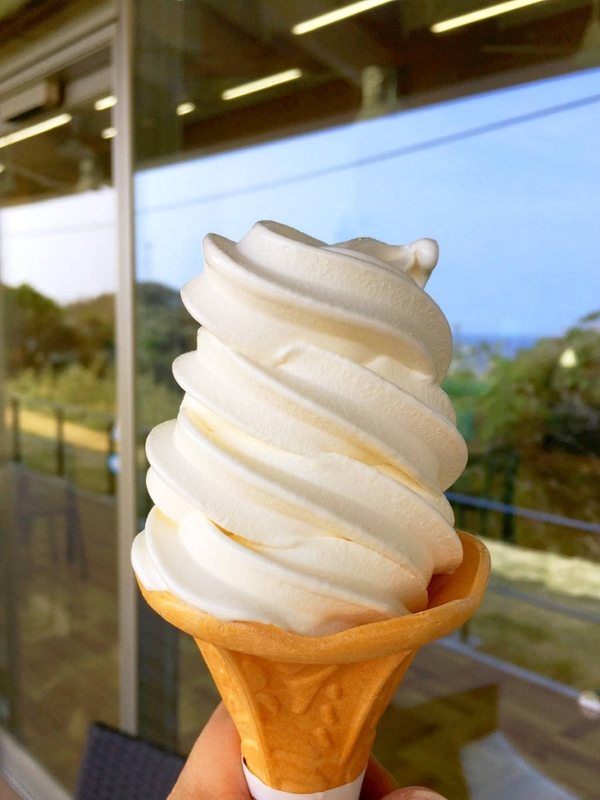 Tombolo season is coming soon! 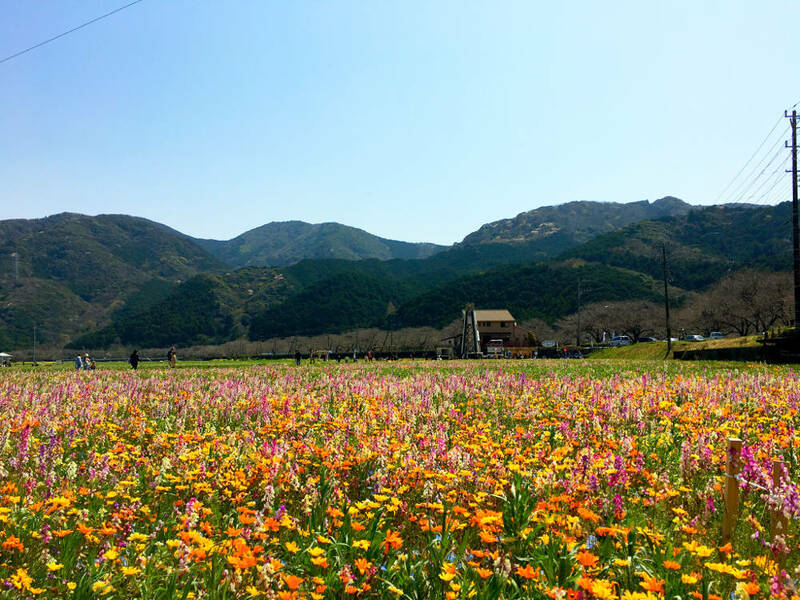 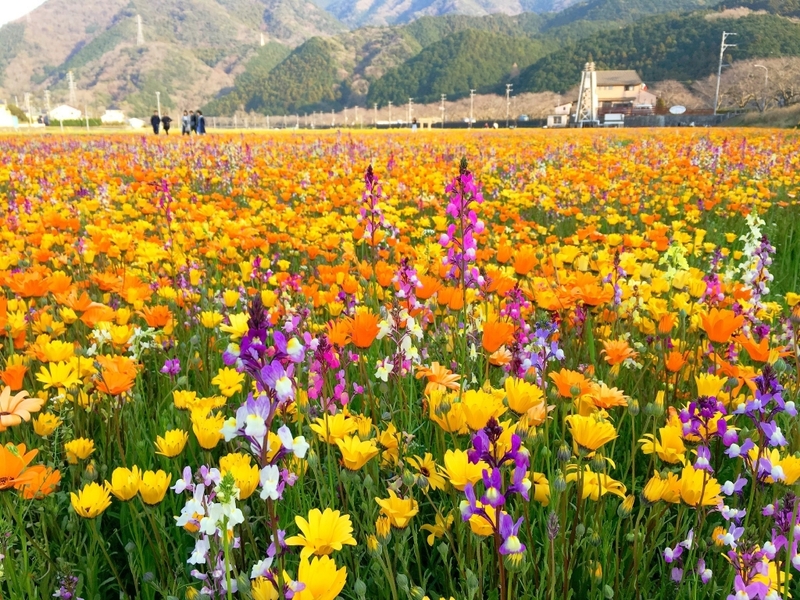 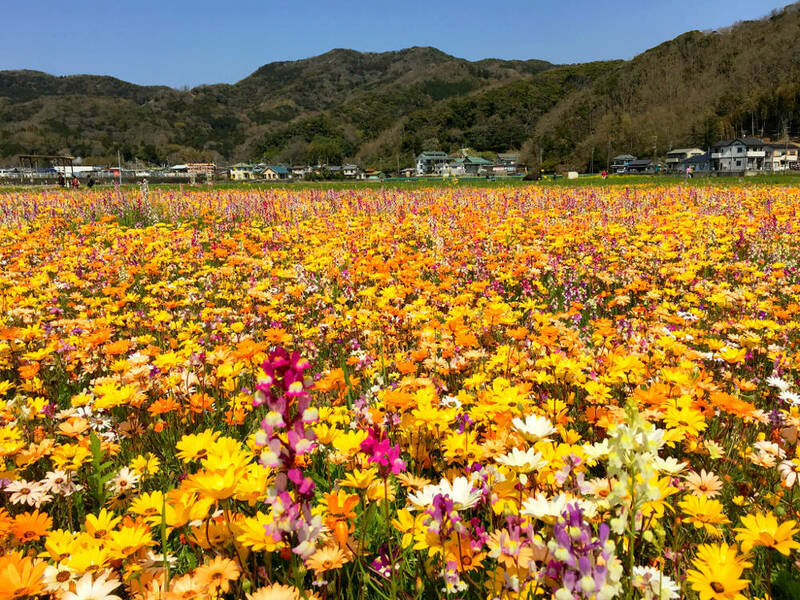 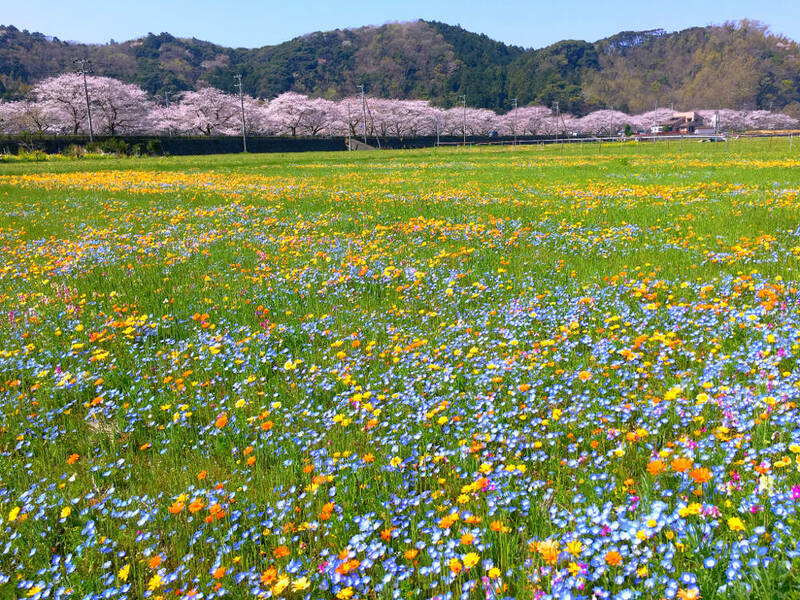 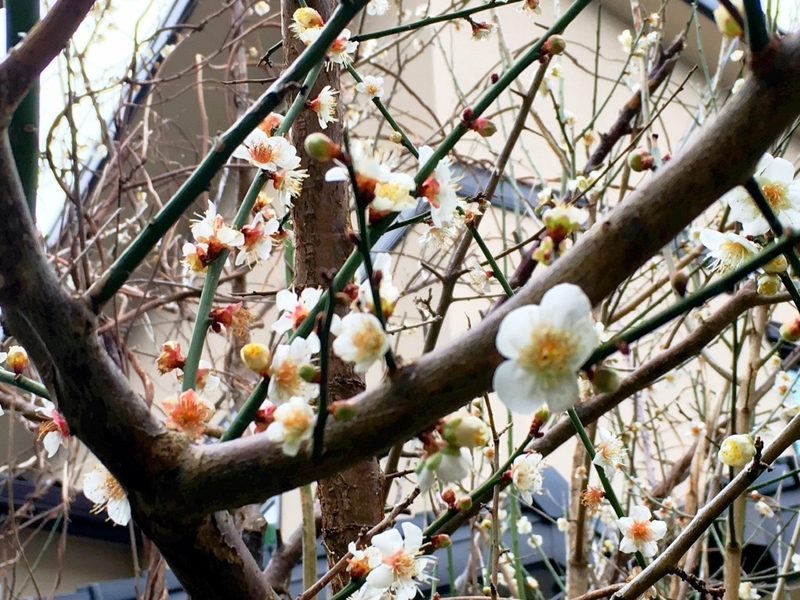 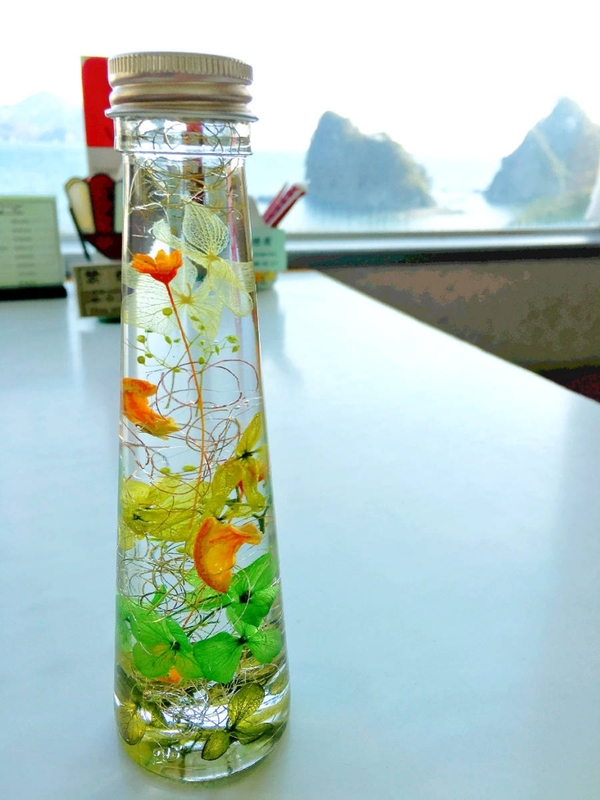 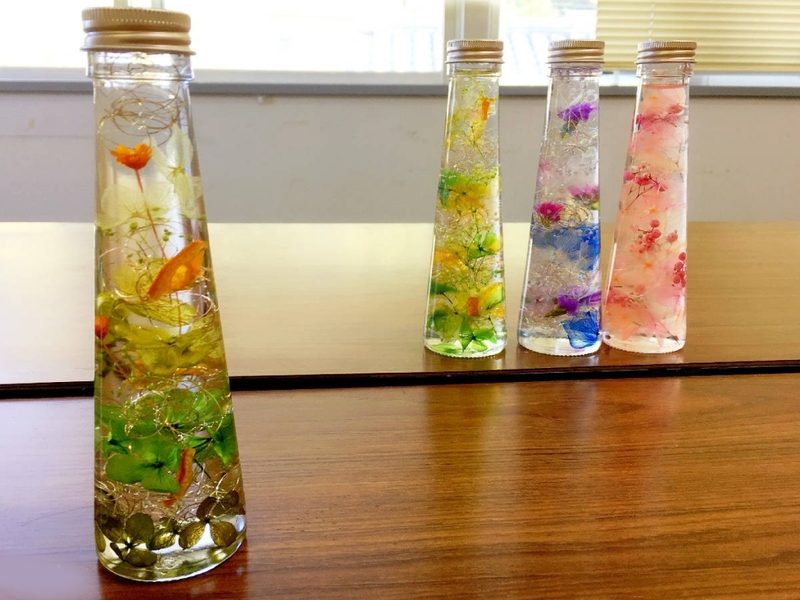 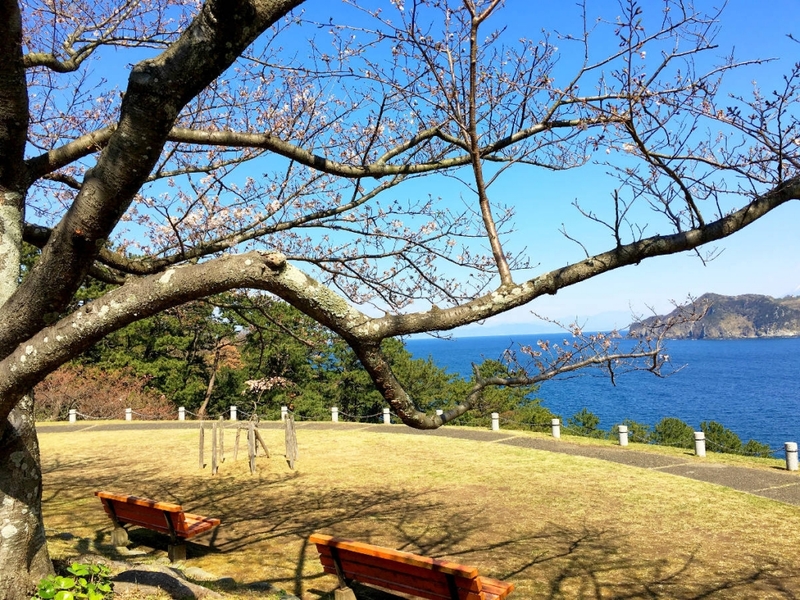 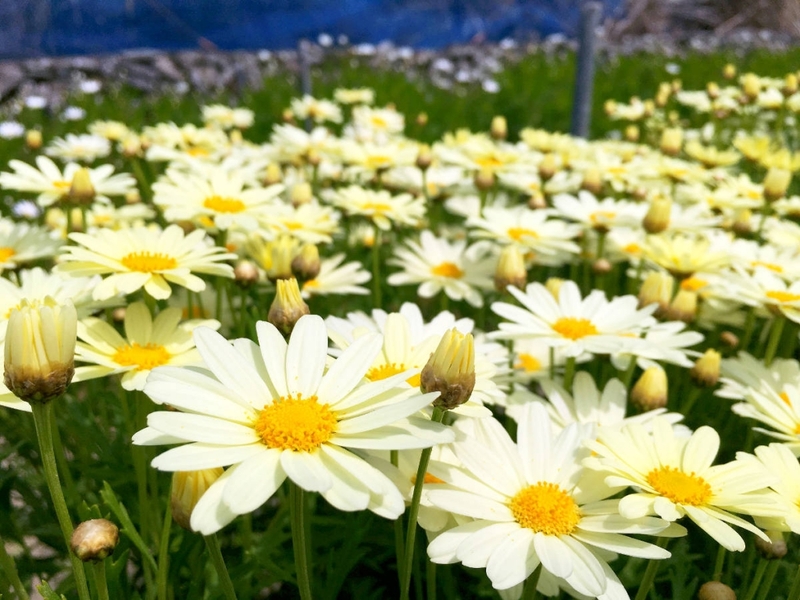 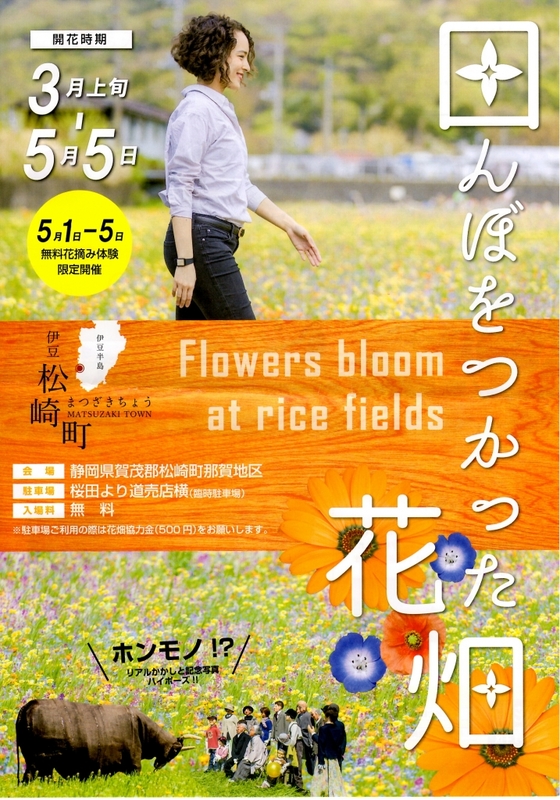 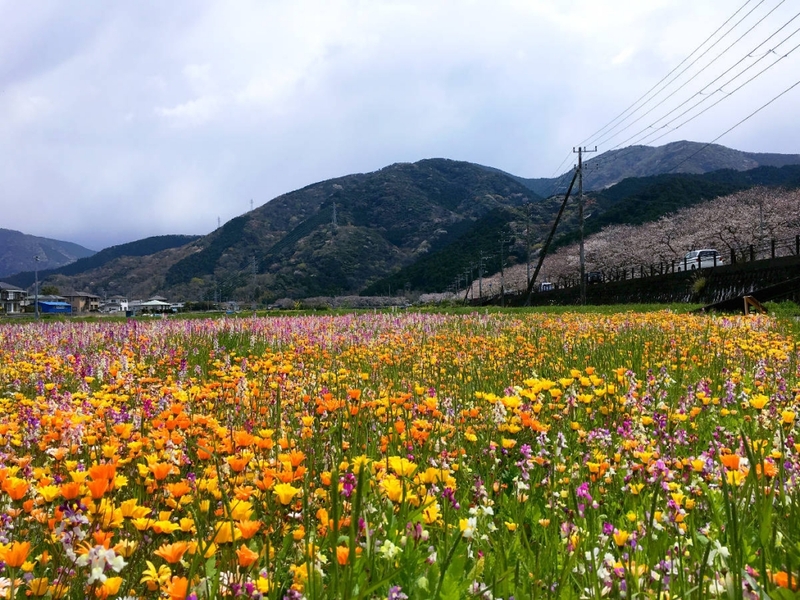 Spring is almost here, Dogashima! 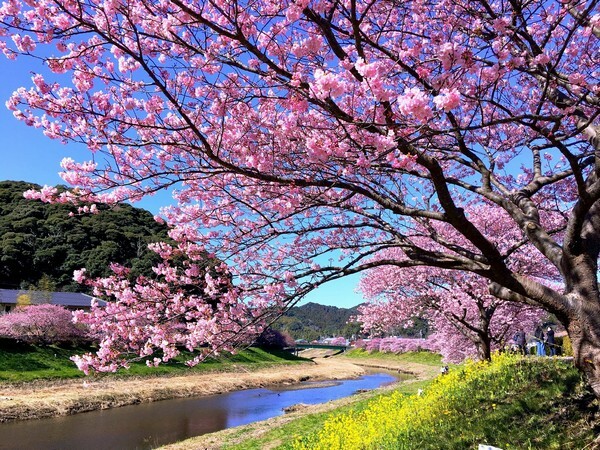 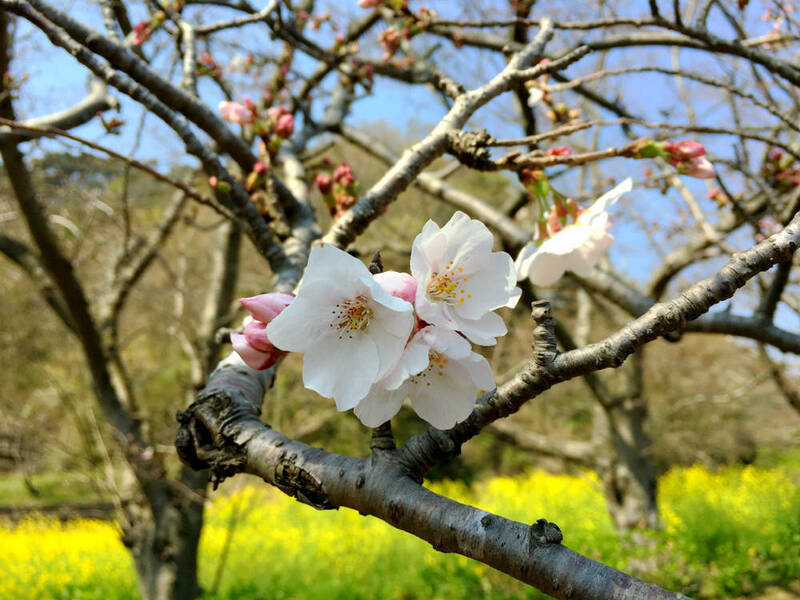 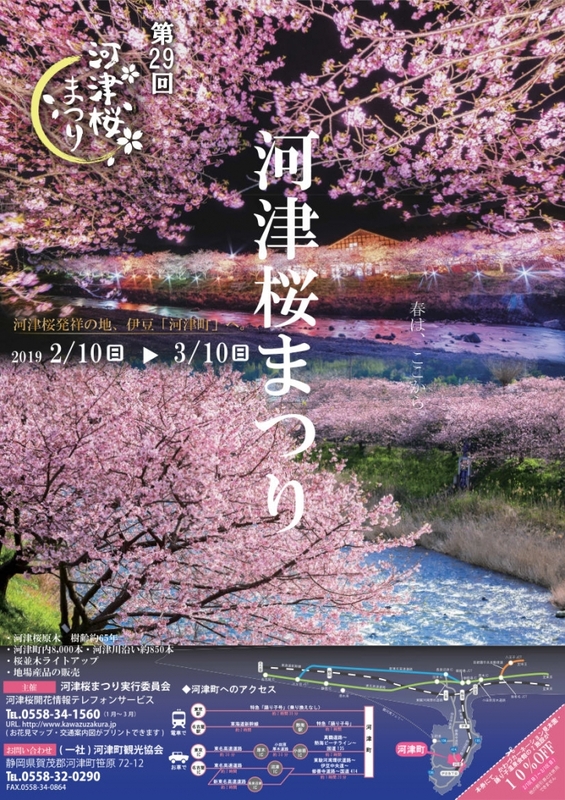 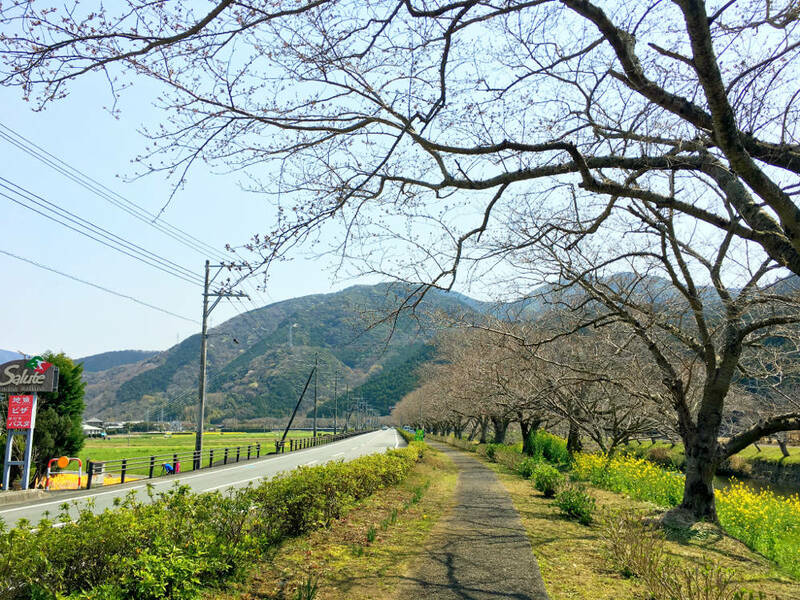 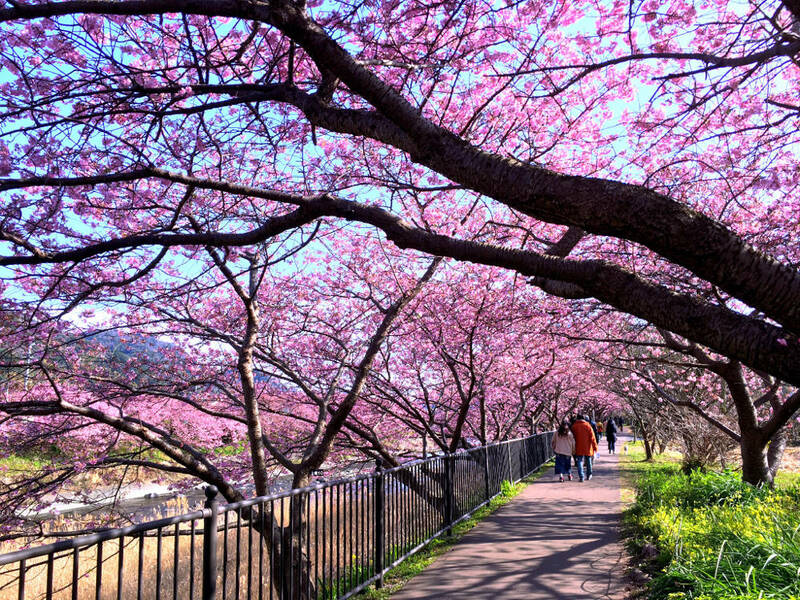 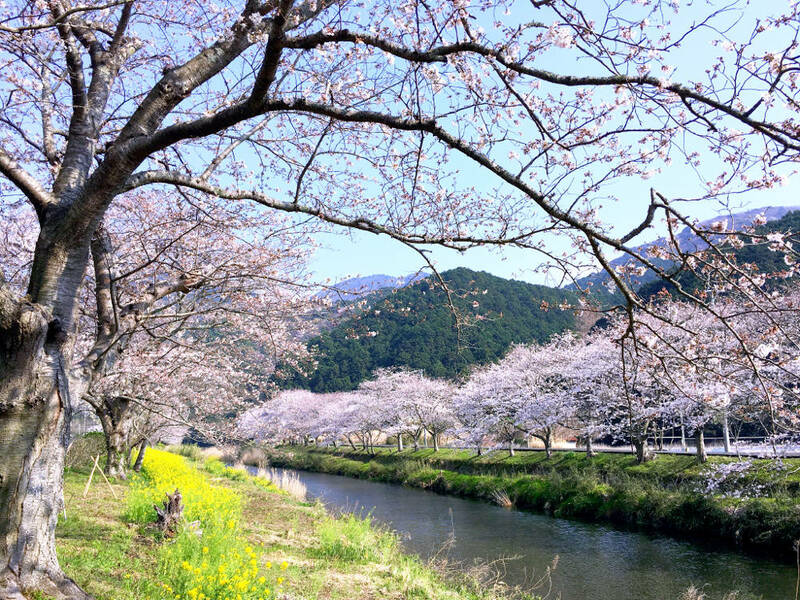 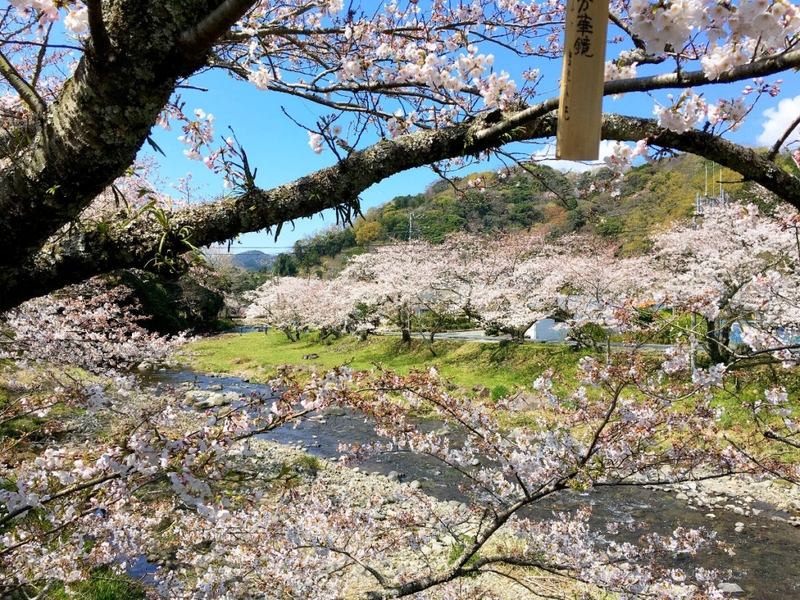 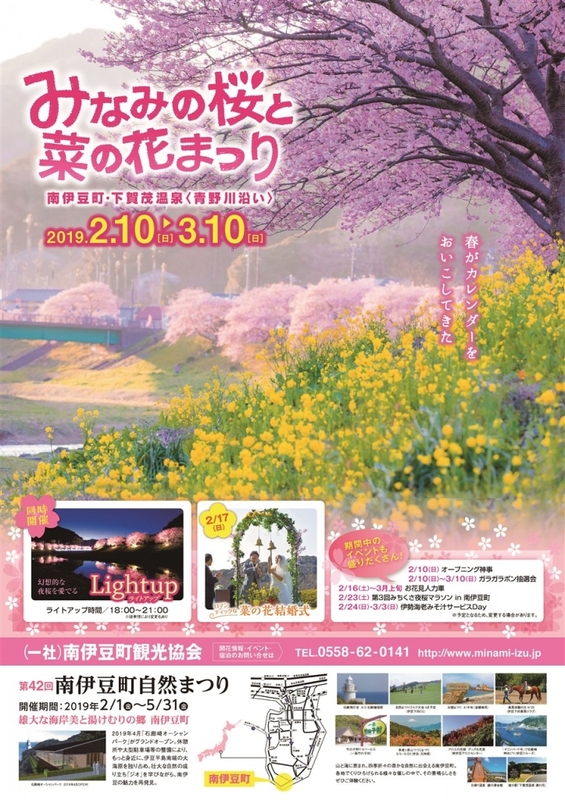 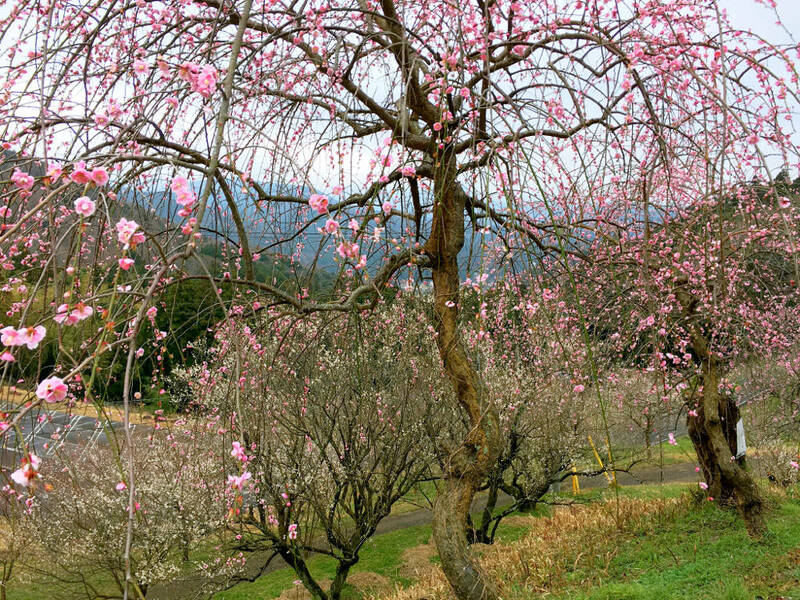 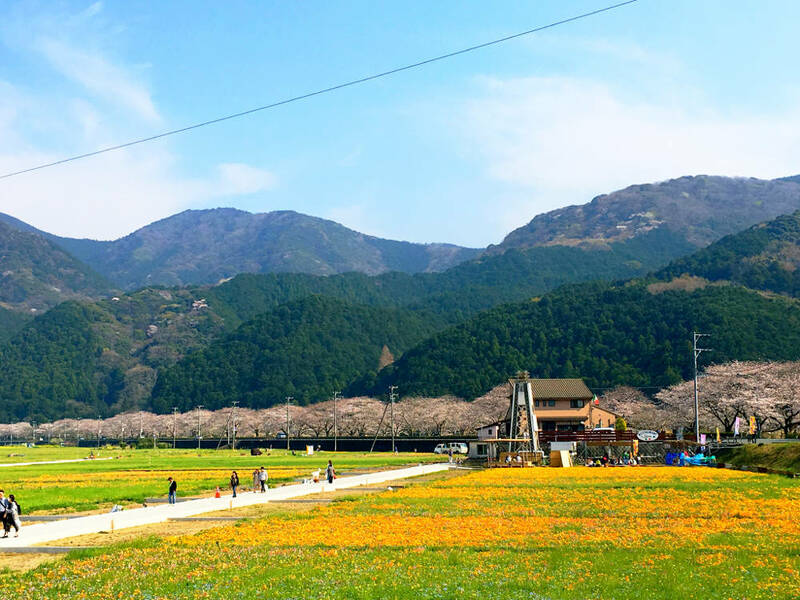 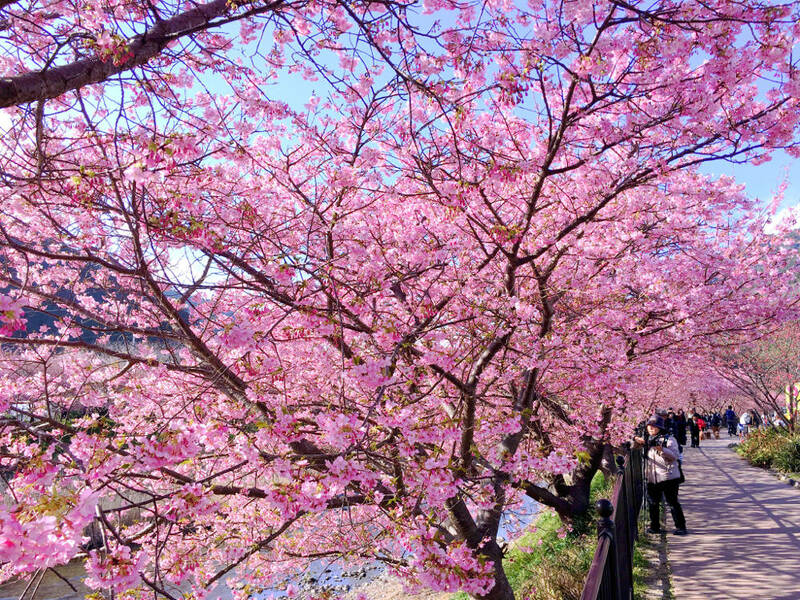 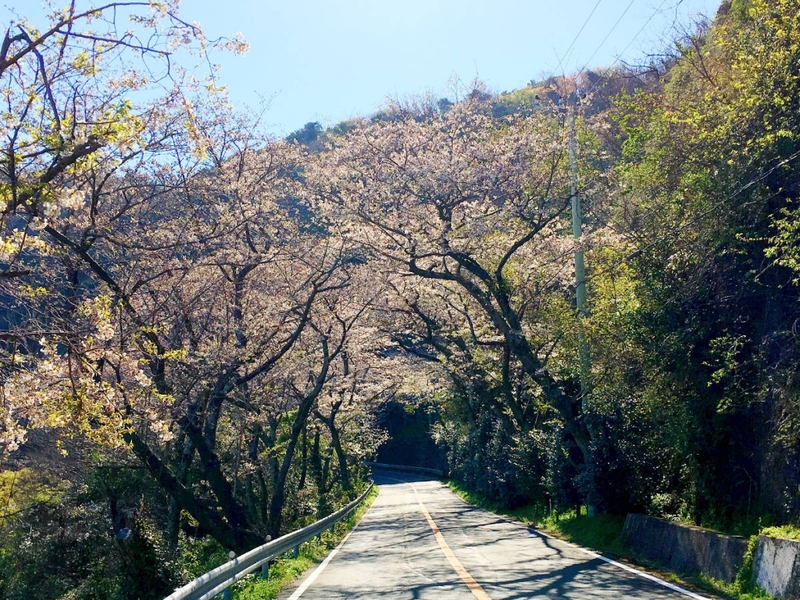 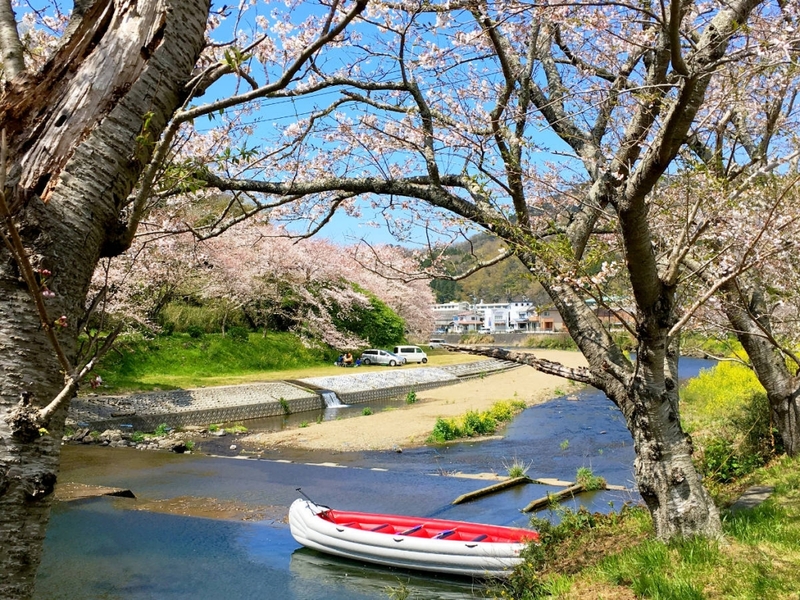 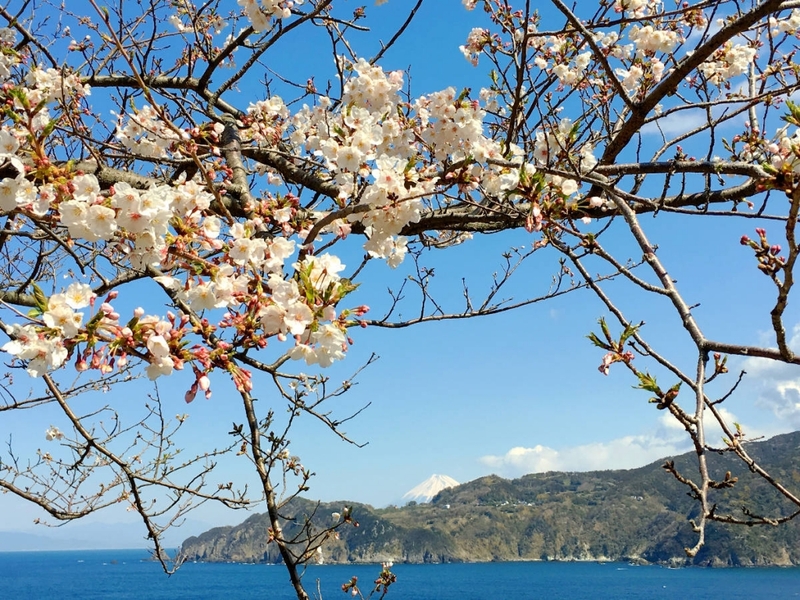 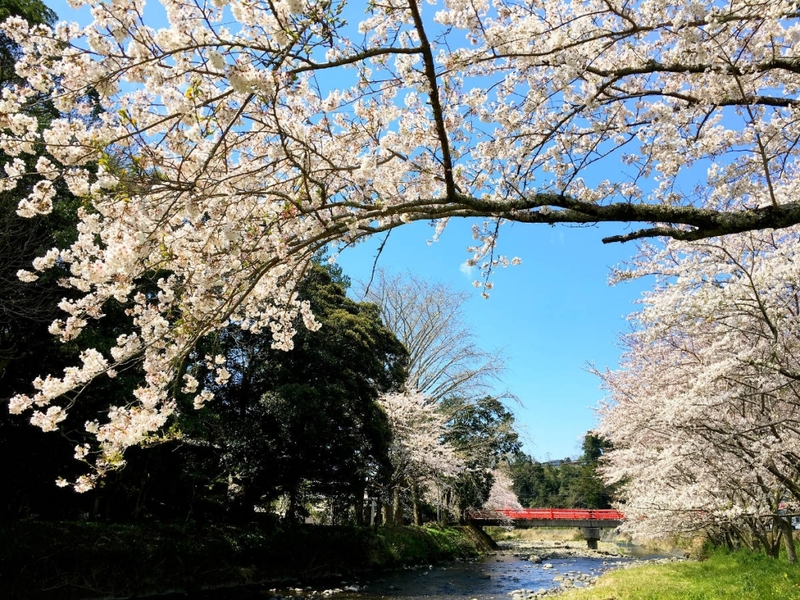 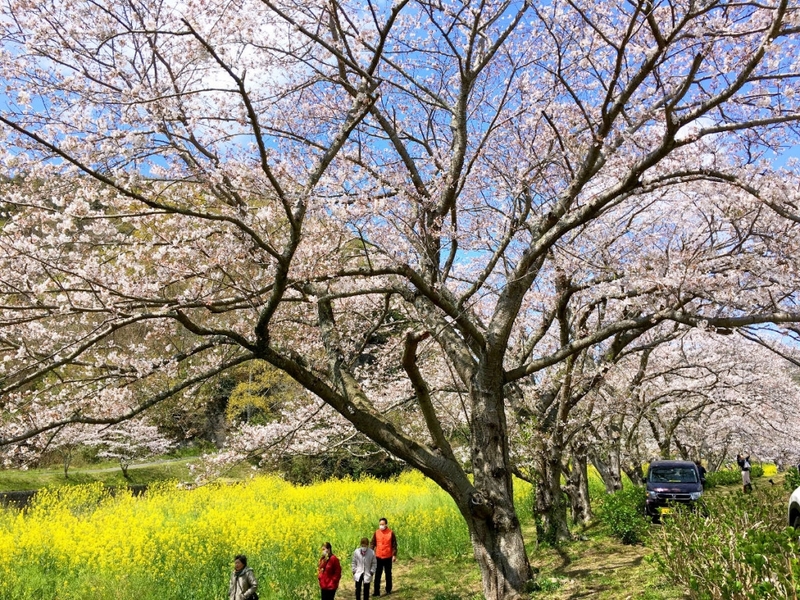 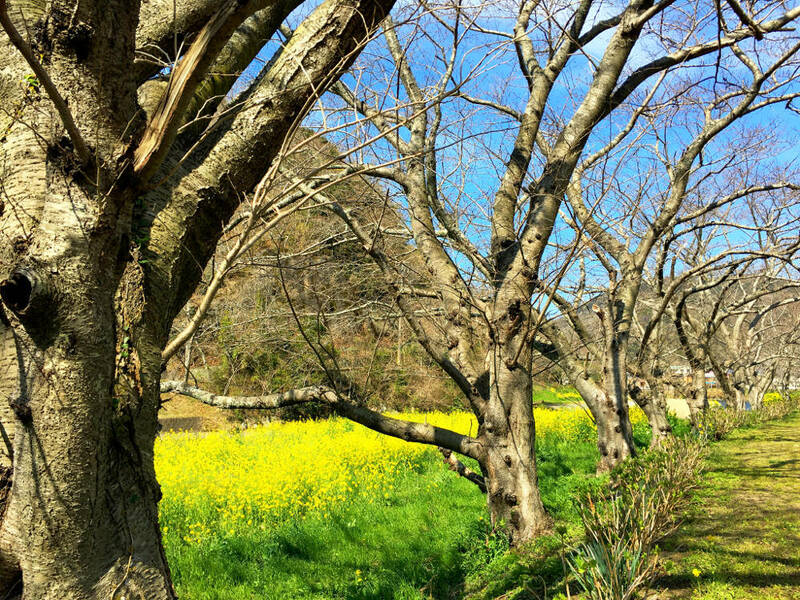 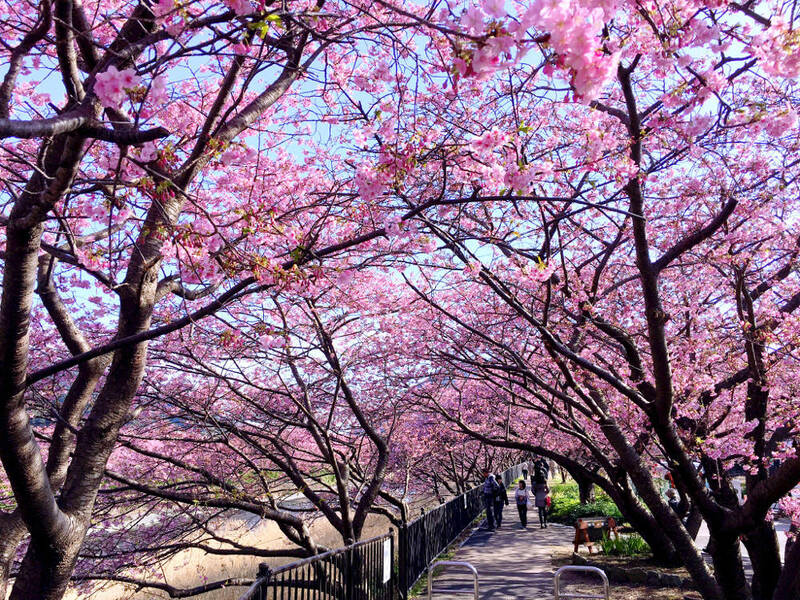 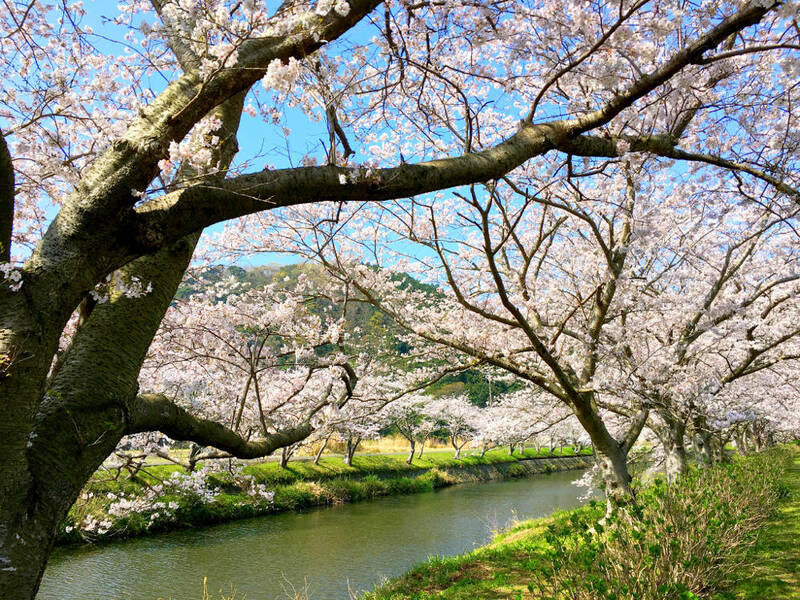 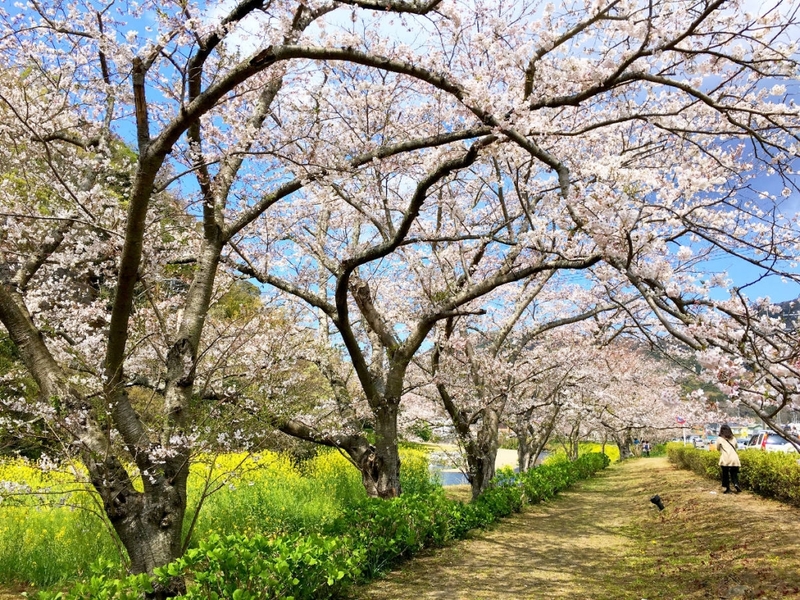 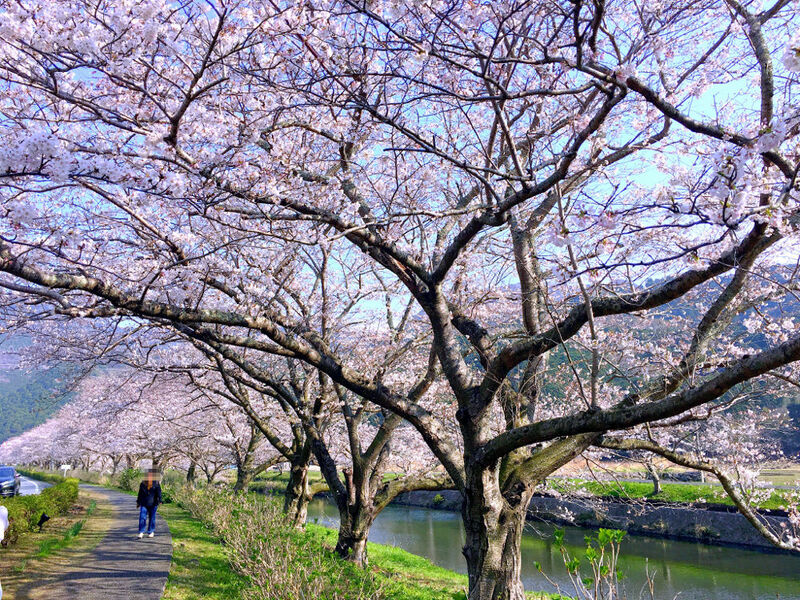 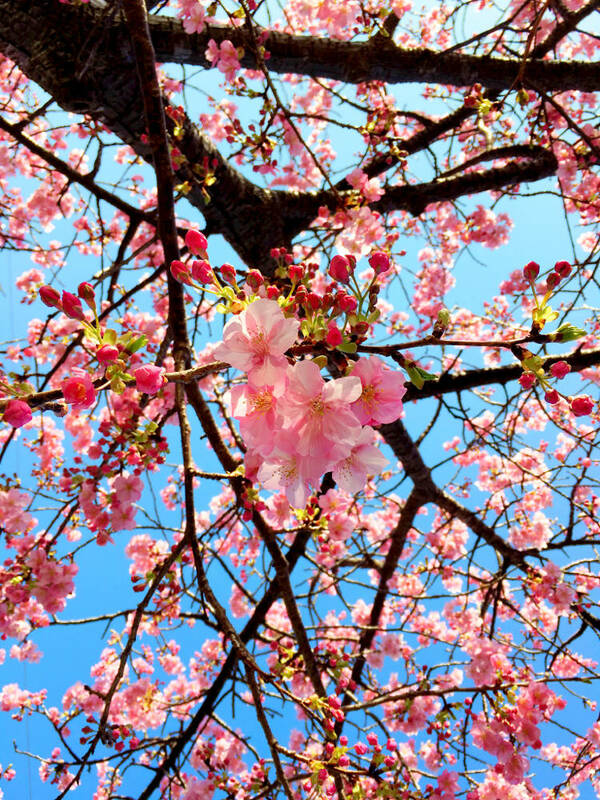 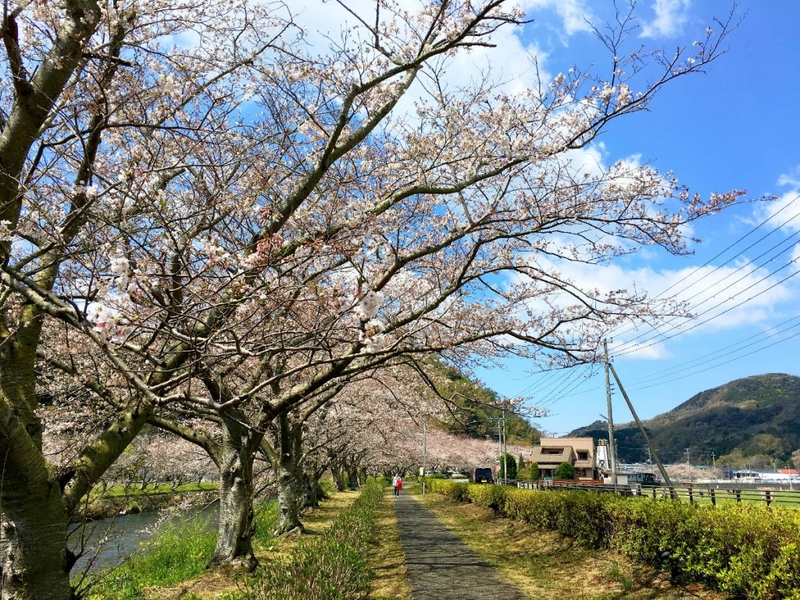 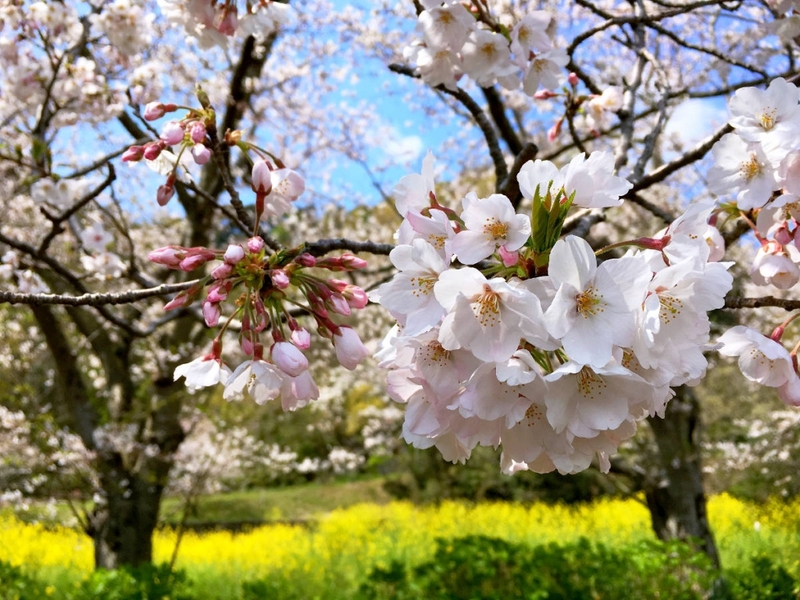 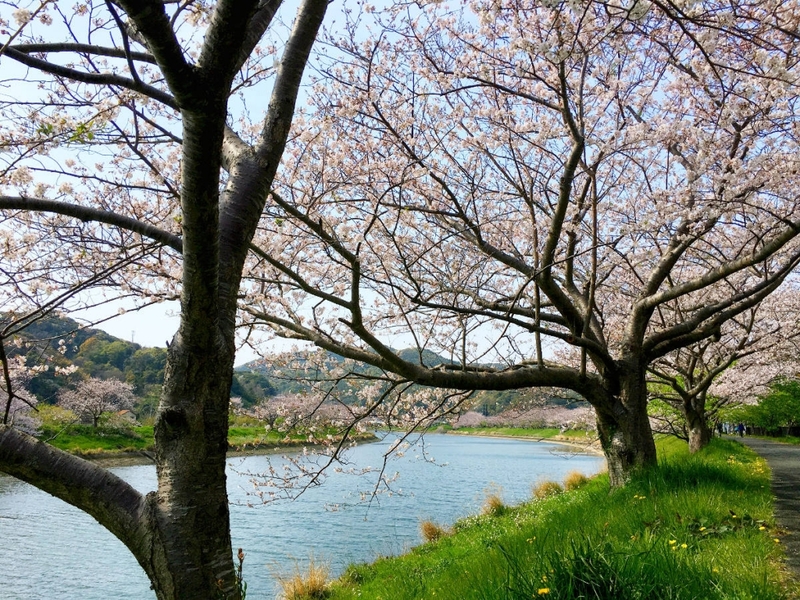 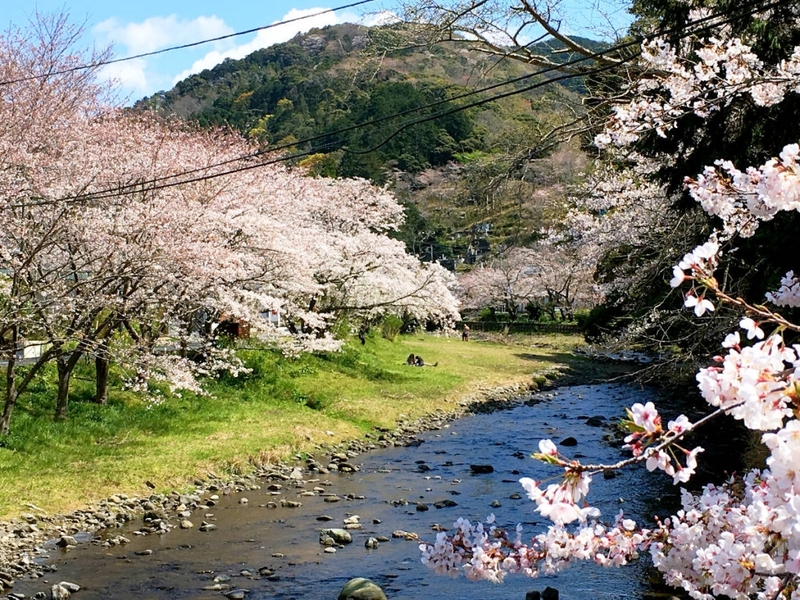 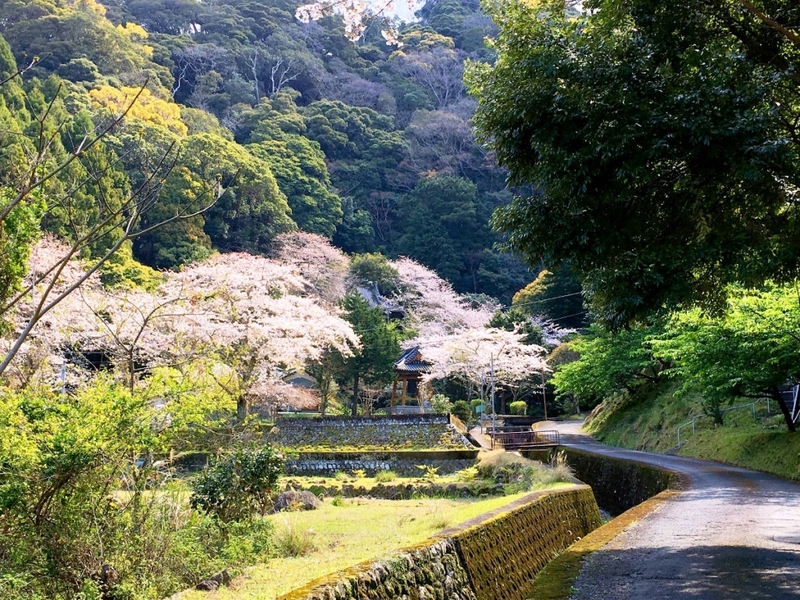 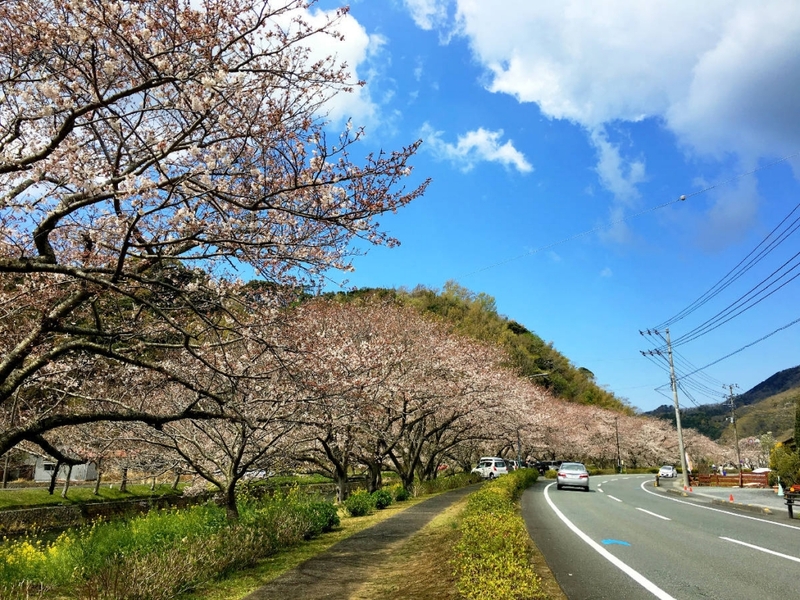 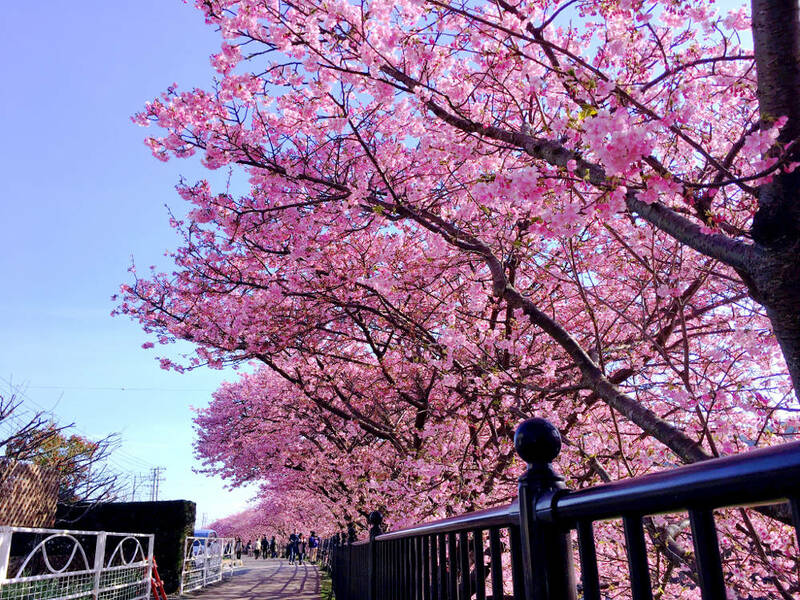 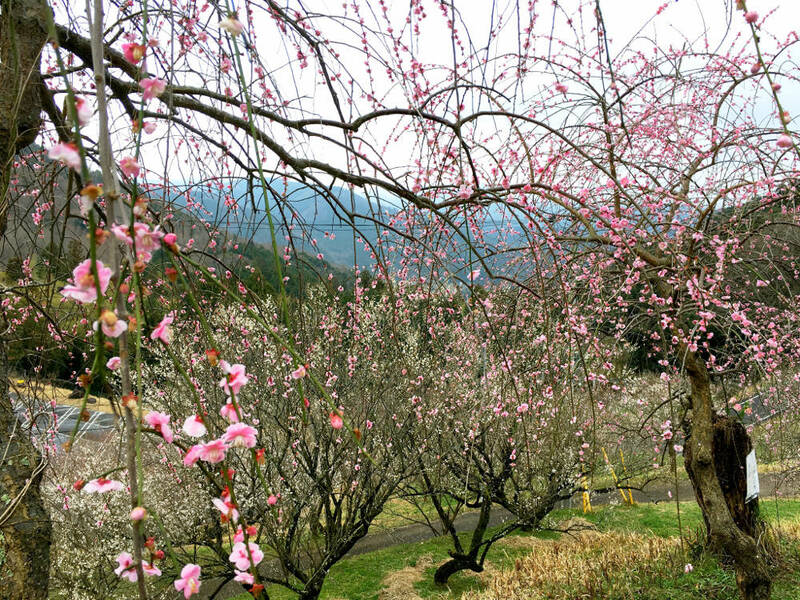 Now is almost the best time to see Kawazu cherry blossoms. 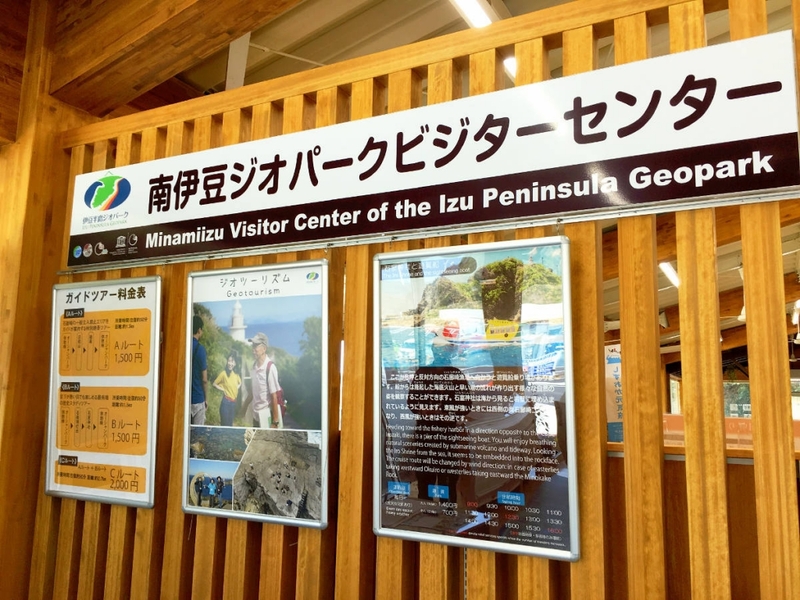 in Kawazu town and Minamiizu town. 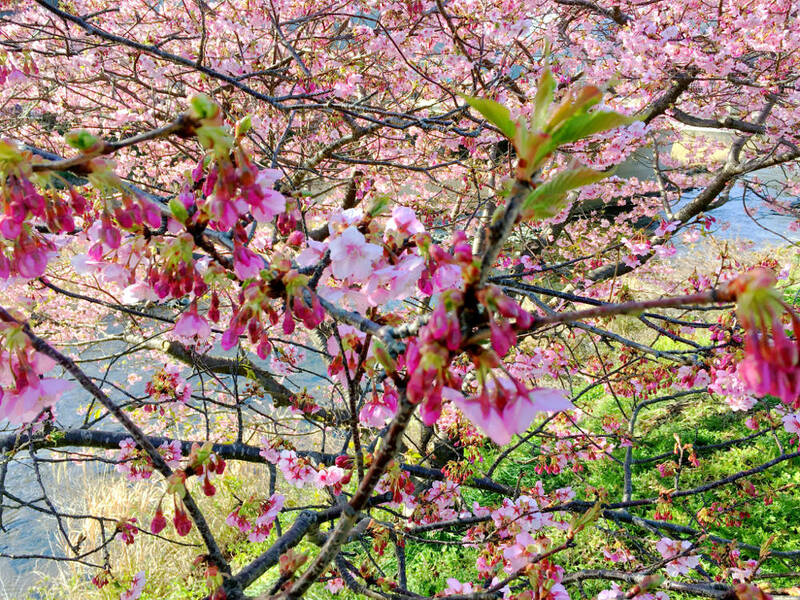 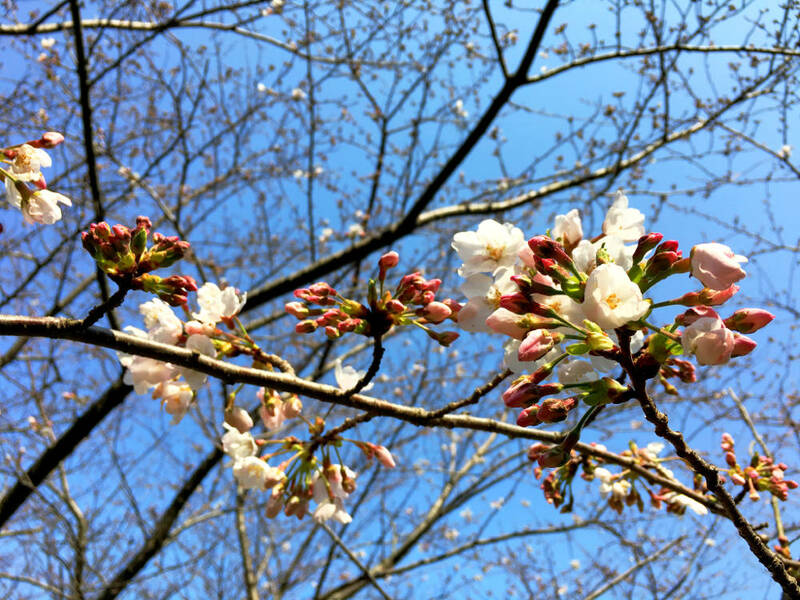 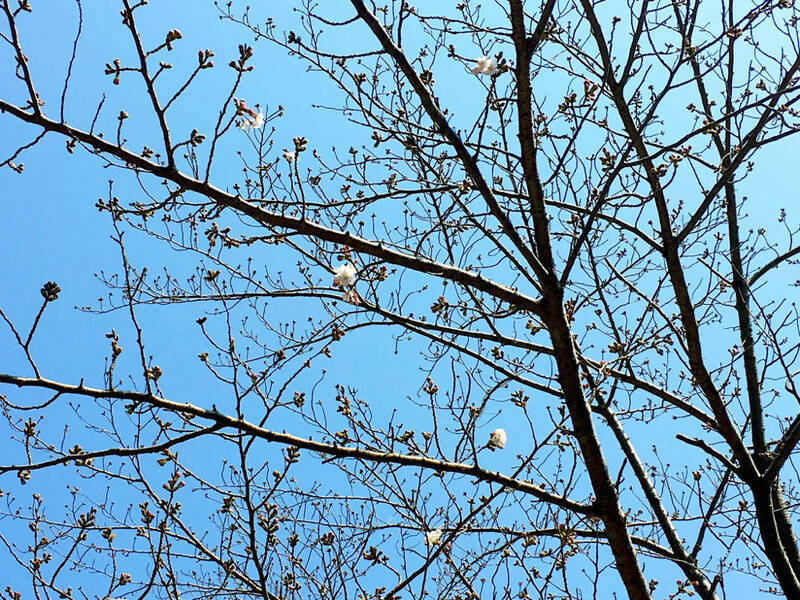 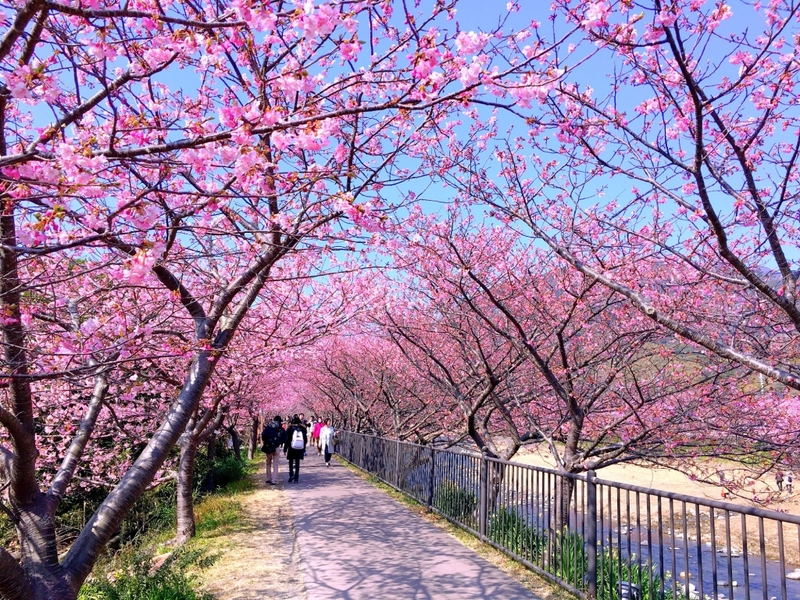 Early-bloom cherry blossoms "Kawazu Zakura"!